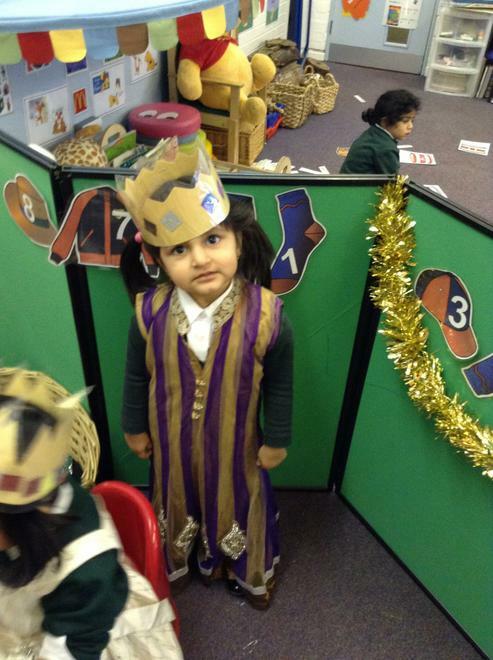 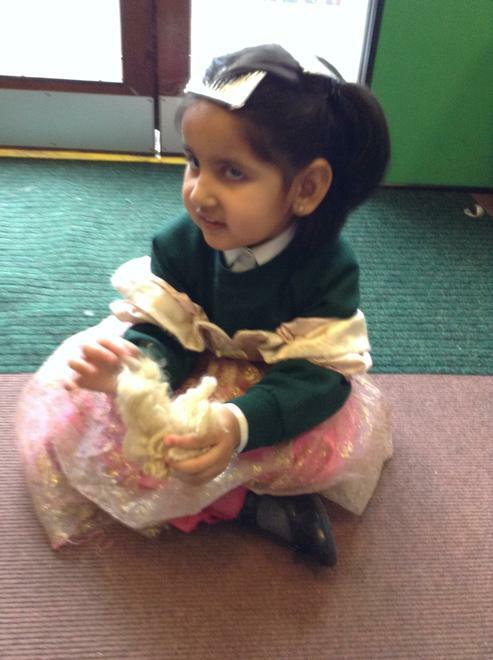 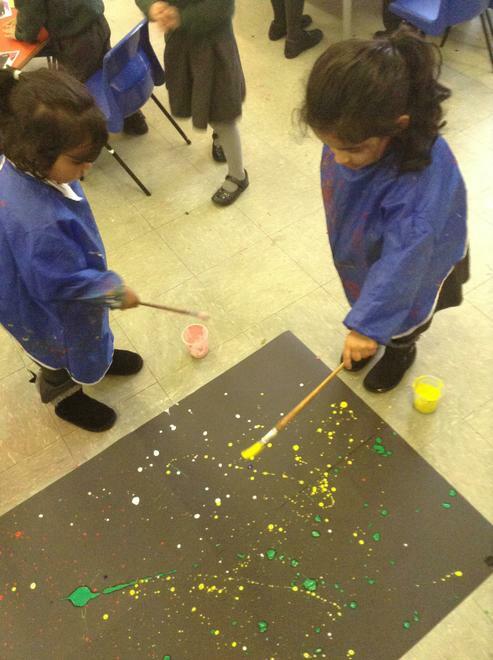 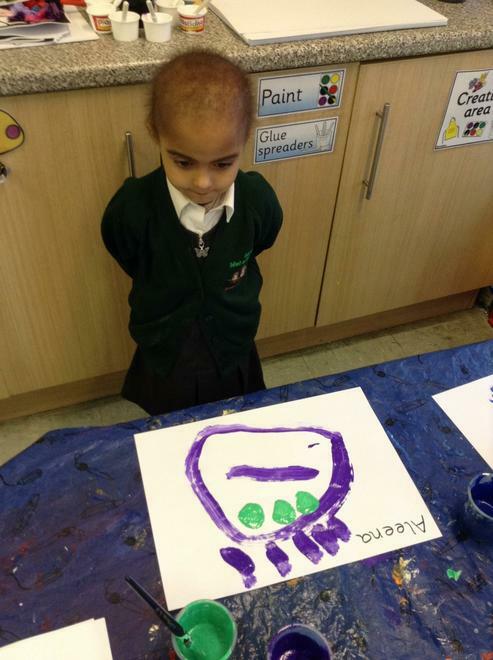 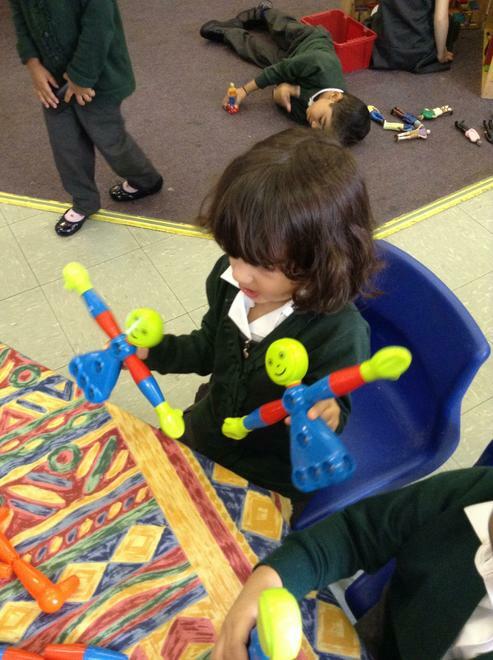 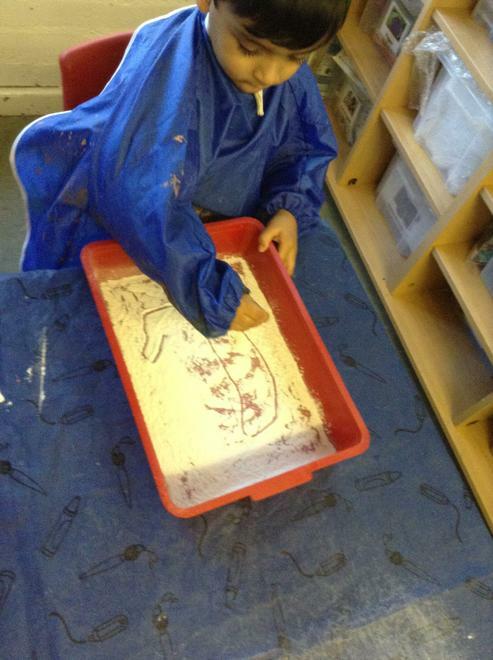 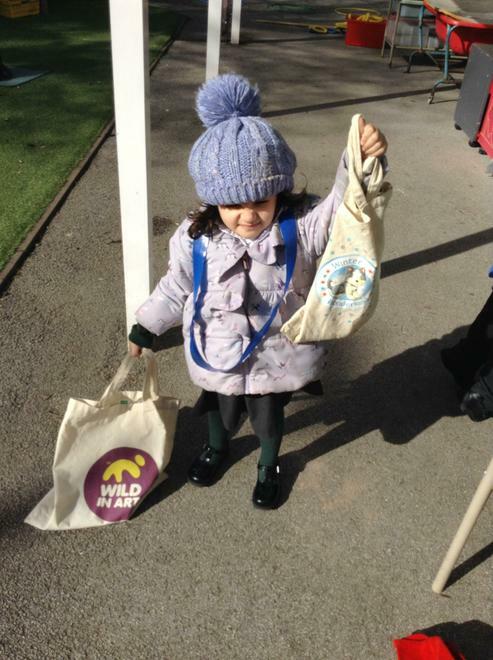 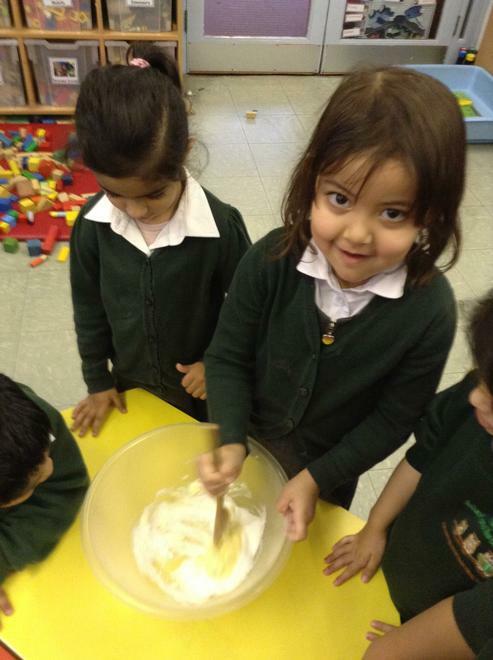 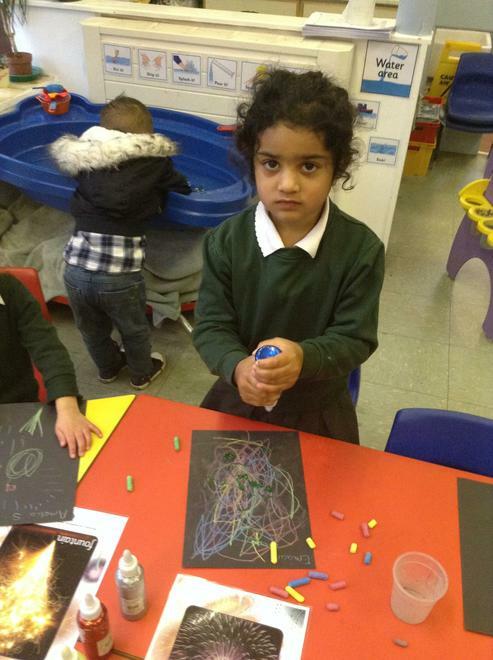 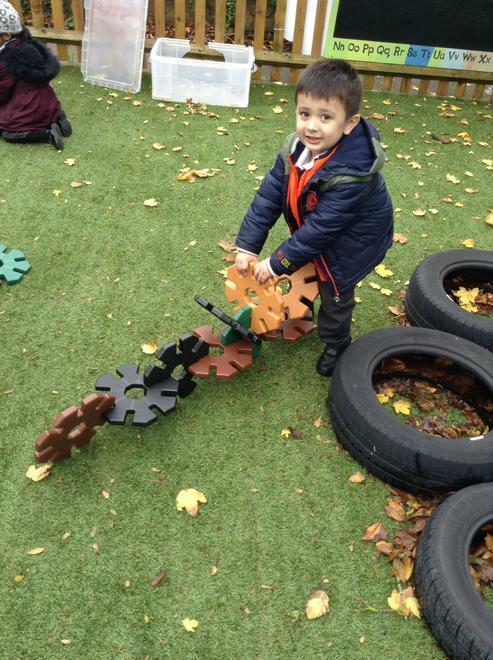 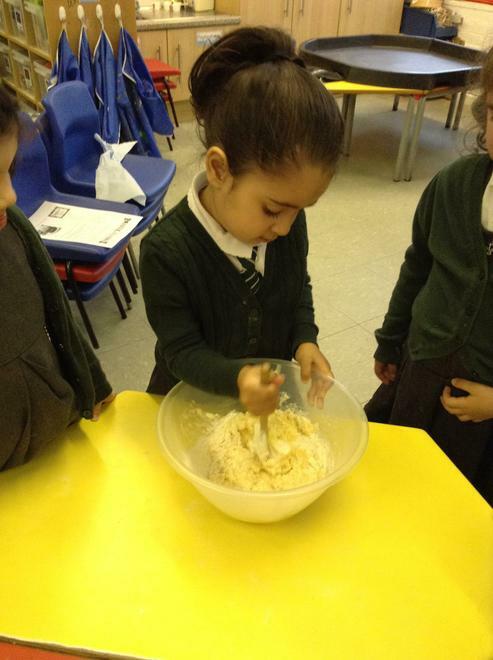 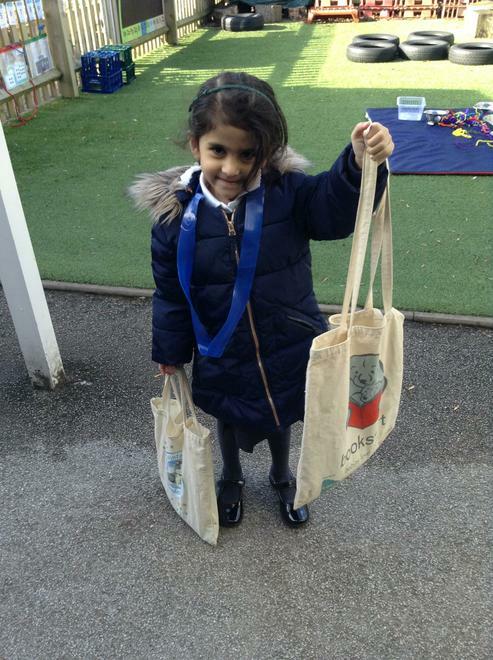 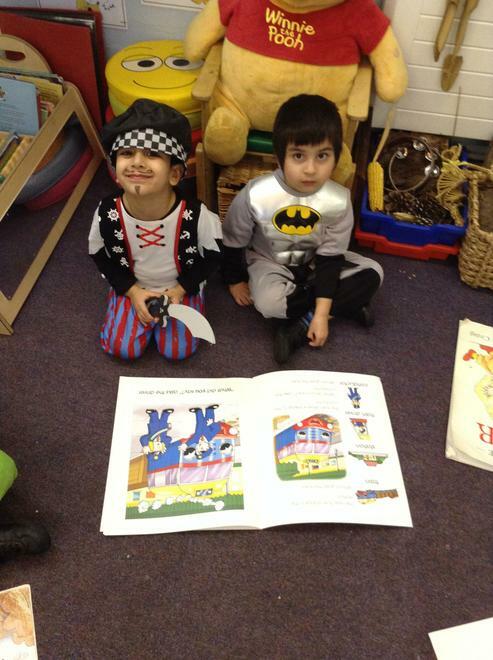 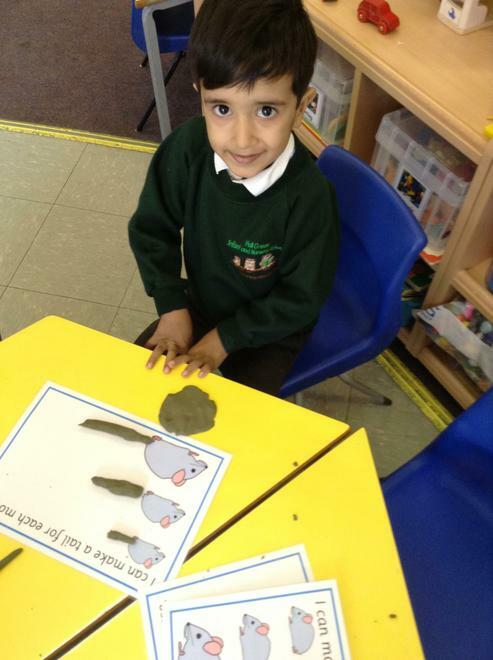 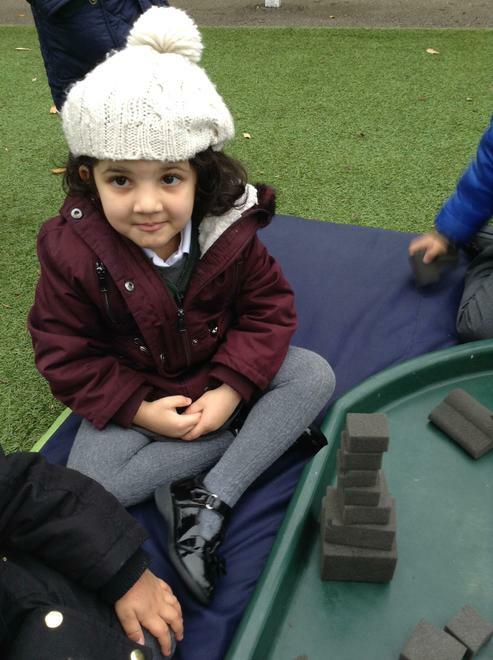 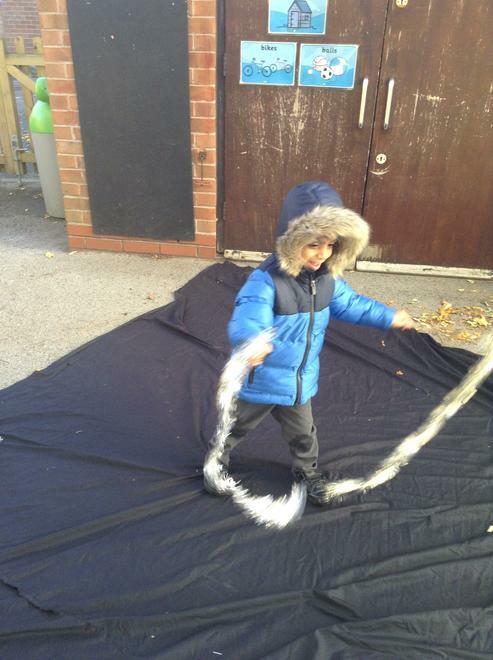 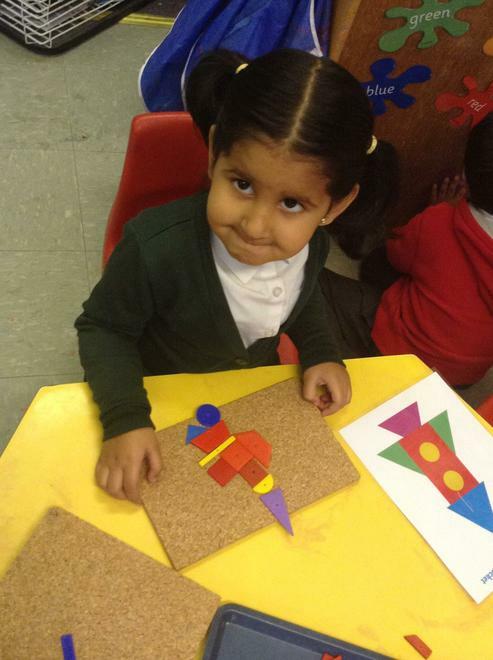 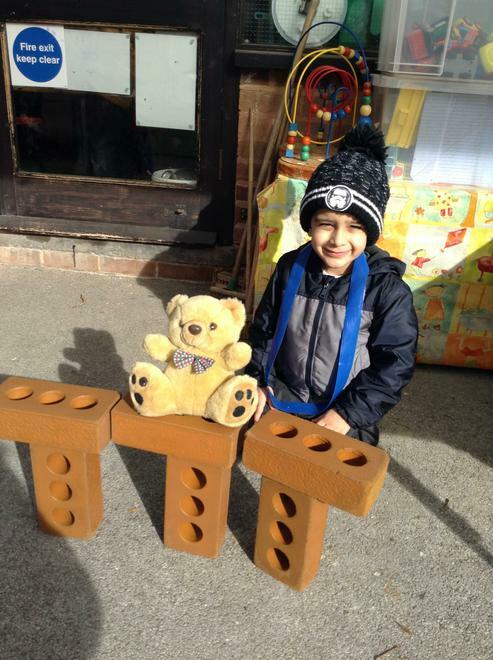 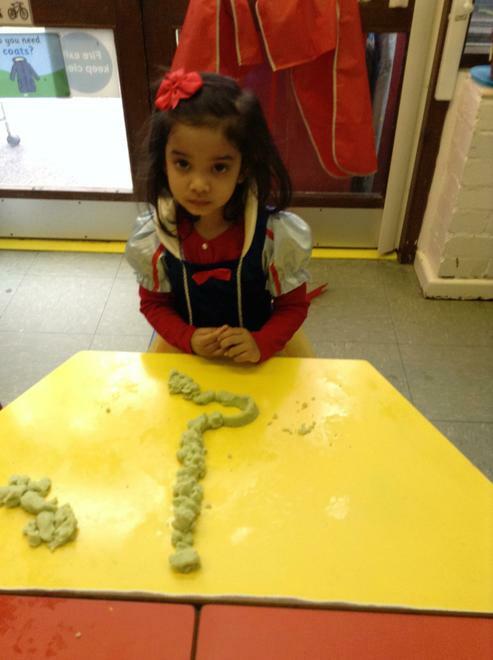 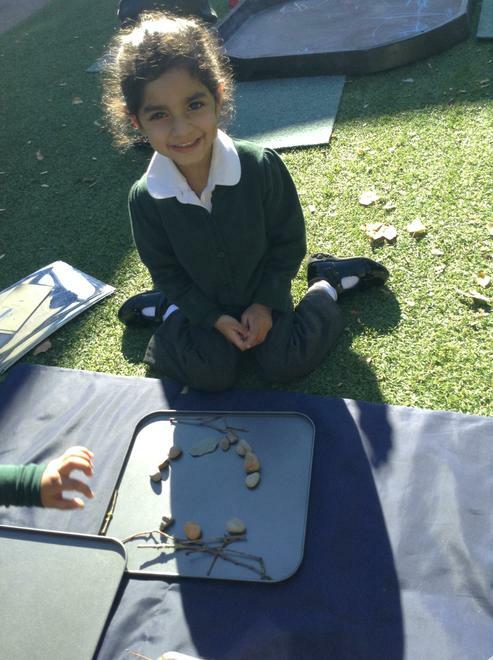 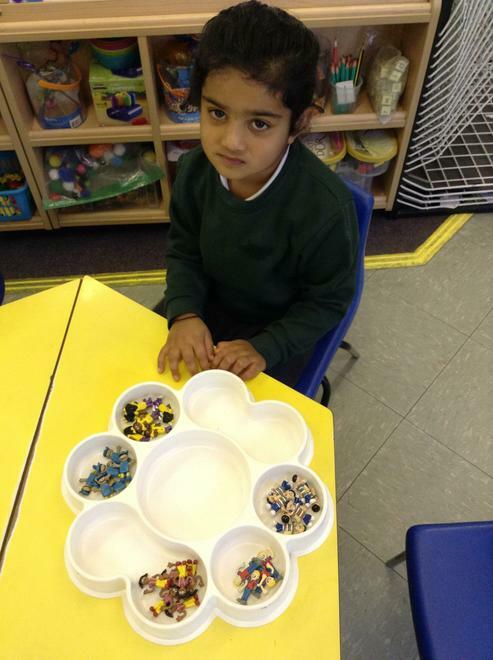 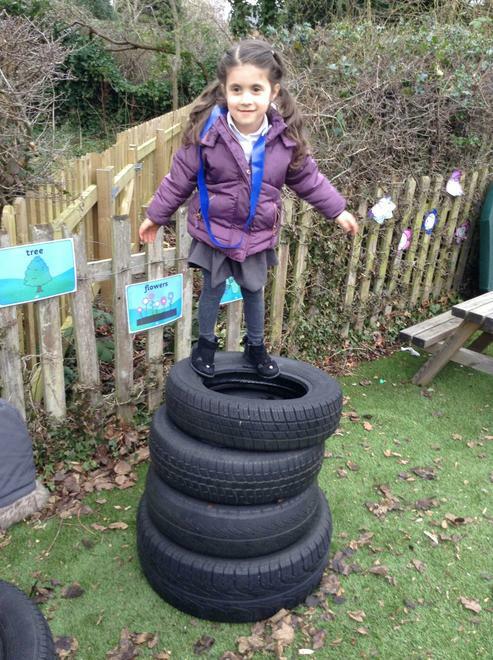 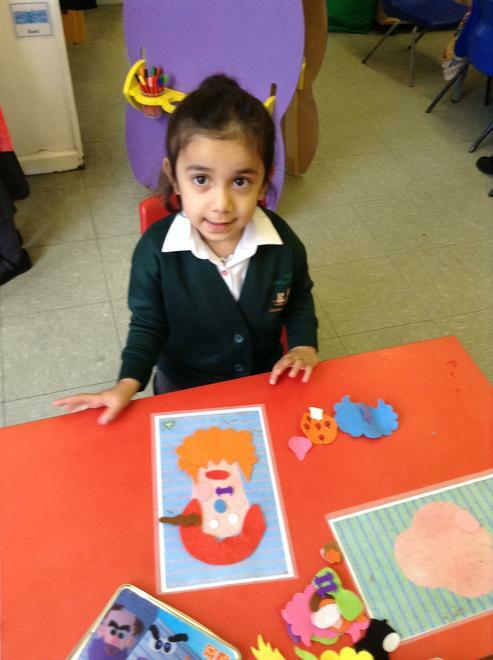 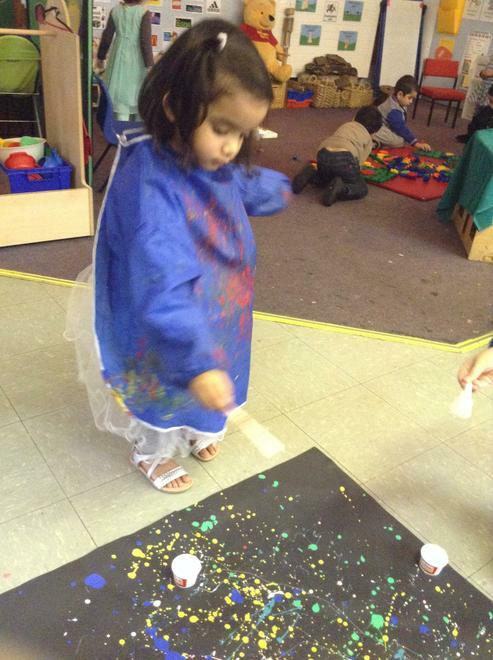 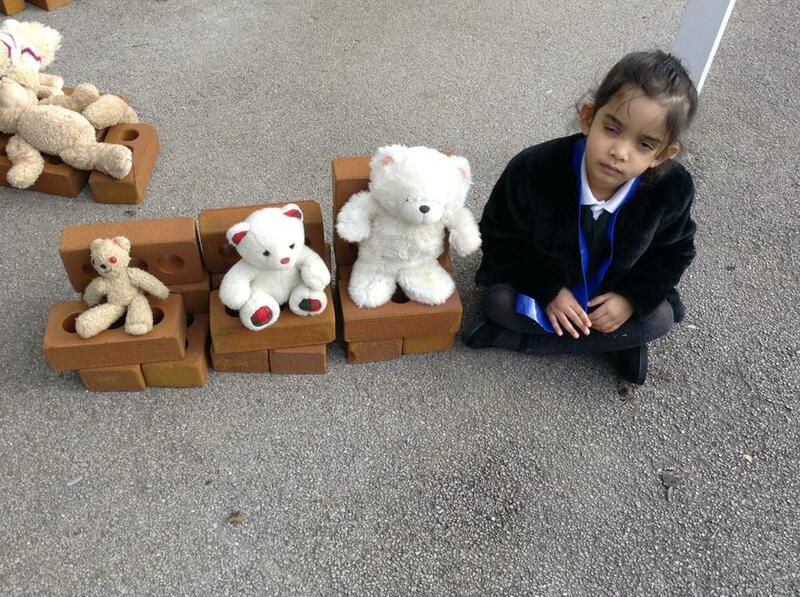 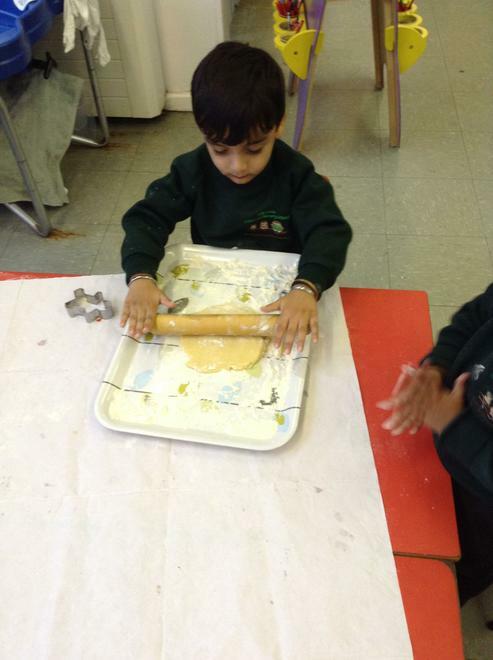 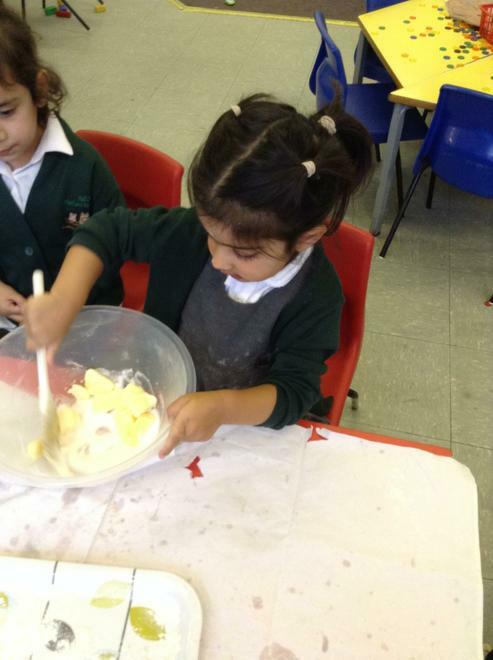 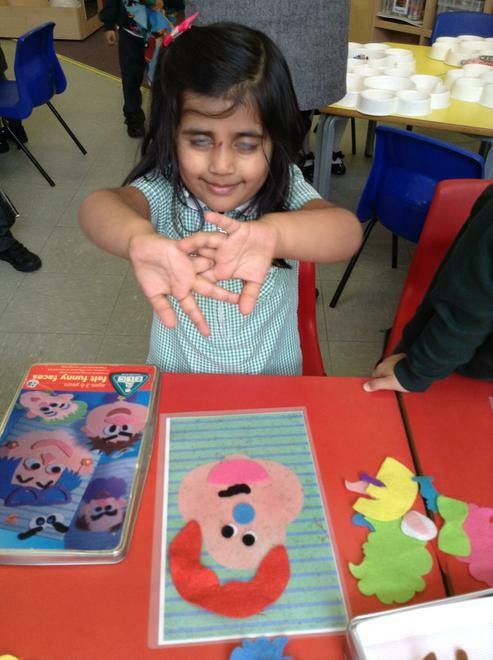 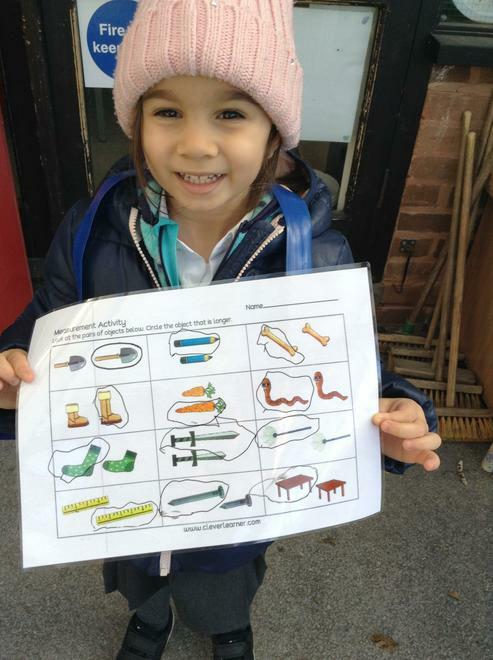 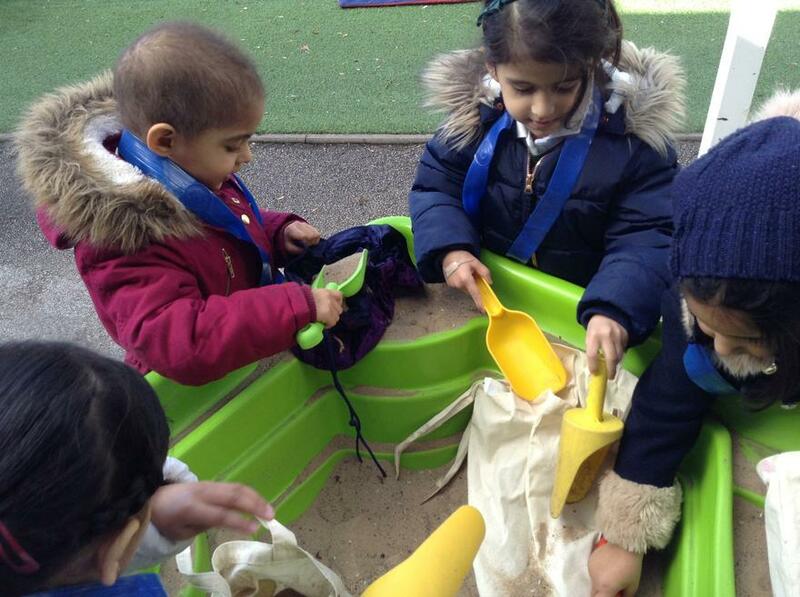 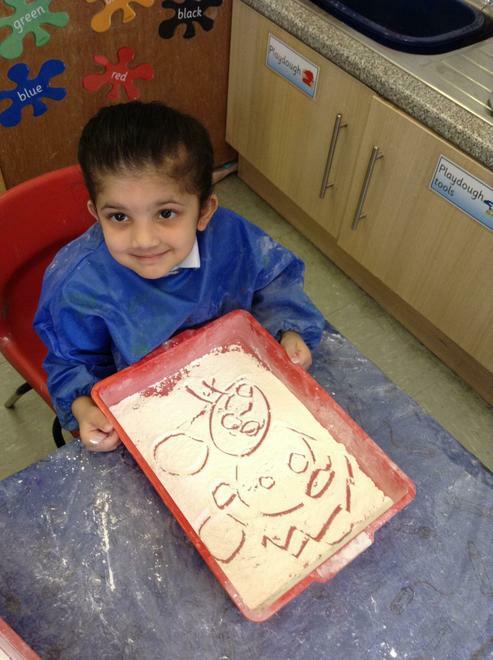 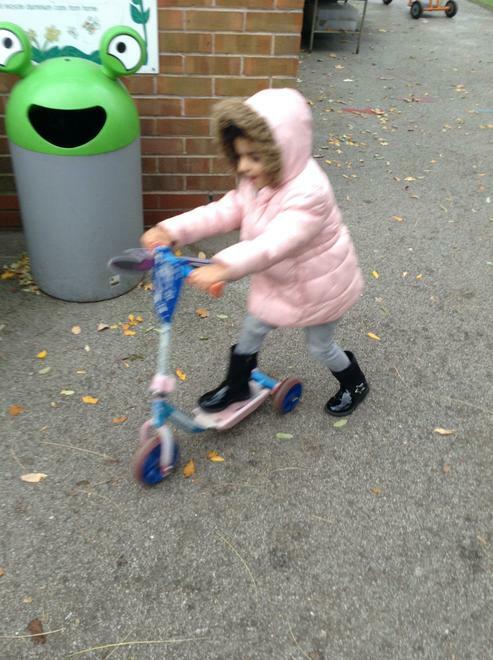 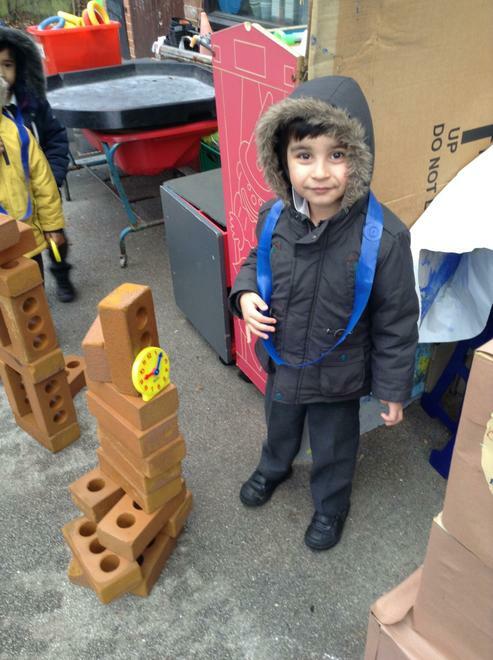 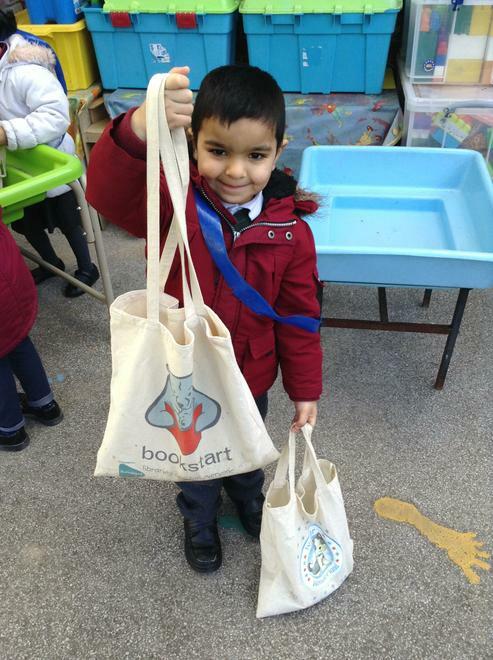 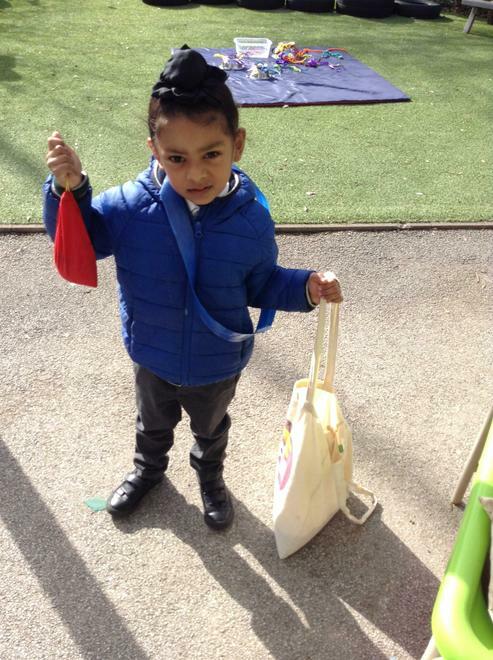 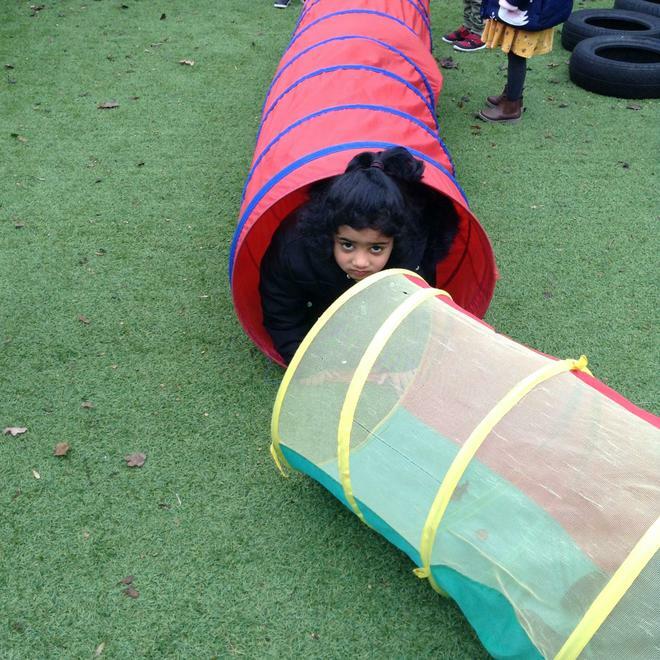 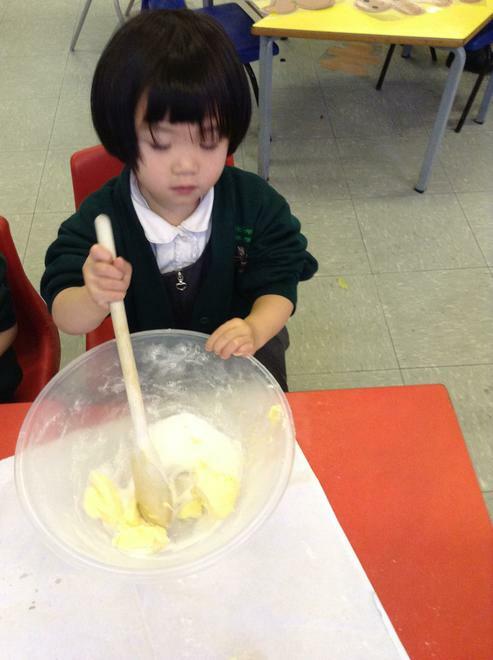 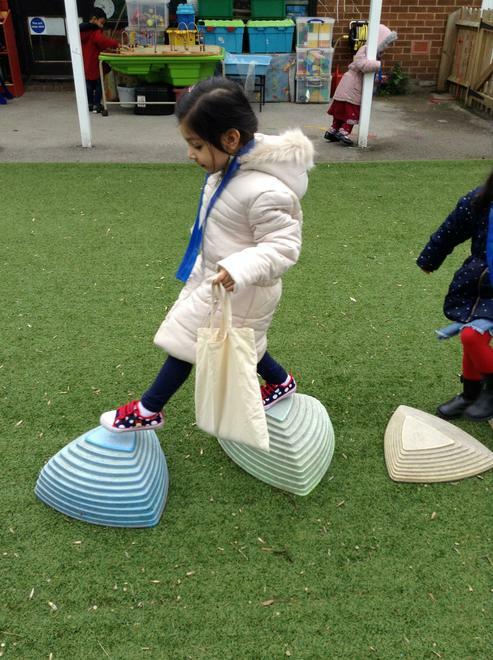 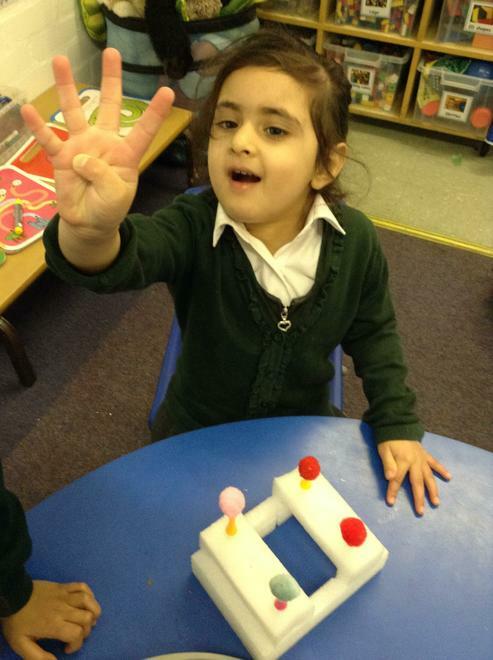 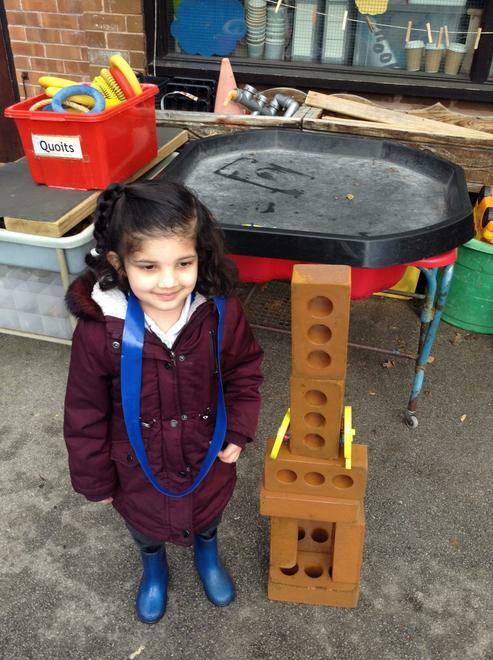 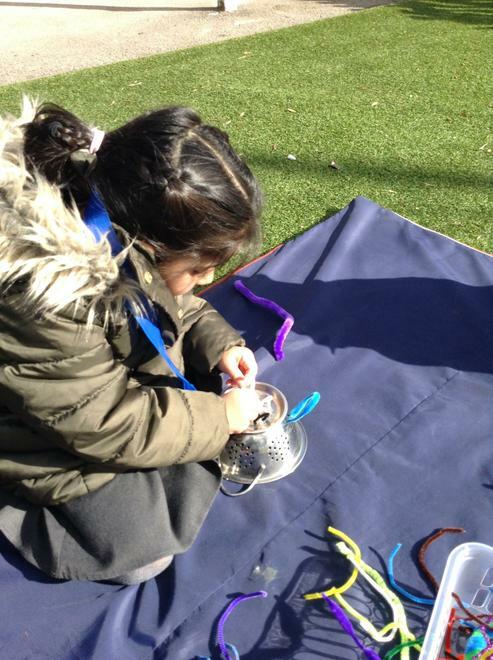 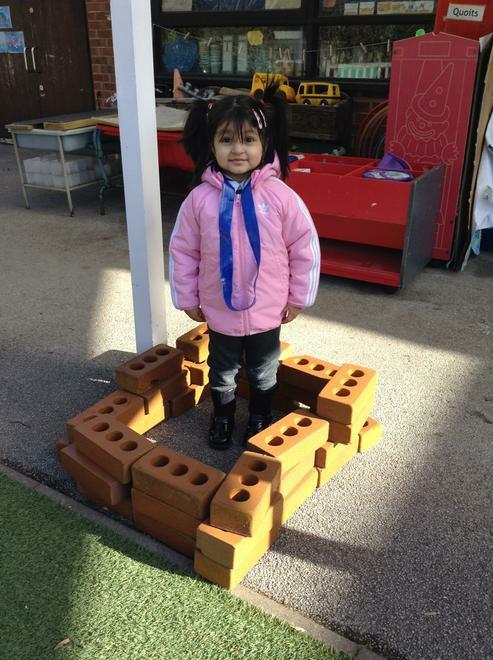 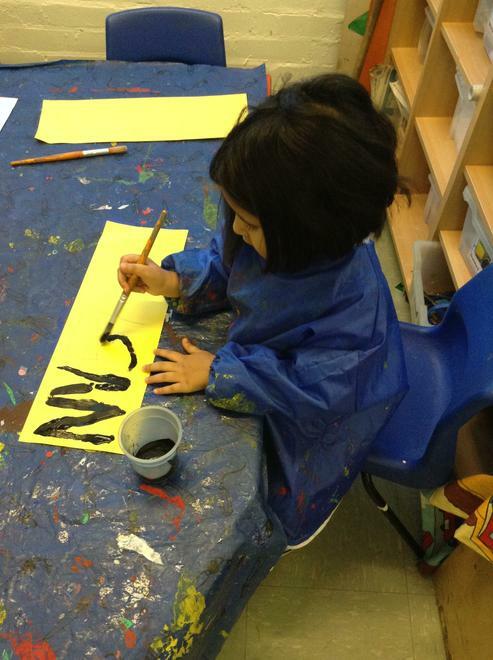 Nursery is your child’s first exciting step as they begin their school journey. 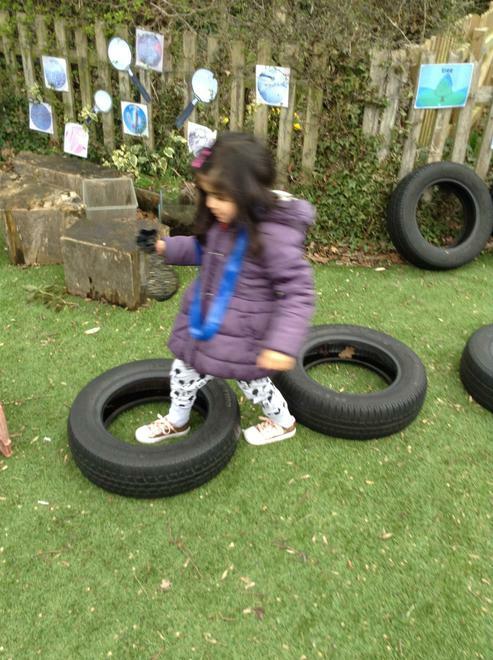 During the Summer Term before they begin their adventures with us, we welcome you to one of a visit sessions where the children are introduced to their new Nursery environment and teachers. 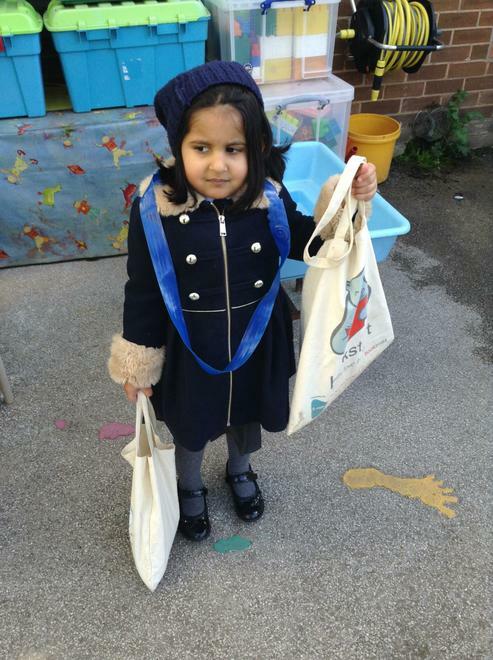 This helps with the smooth transition from home to Nursery and this transition continues as the Nursery teachers visit each child's home which builds on home school links and encourages familiarity with staff ready for each child to bring a parent with them in September to settle them into their new classroom. 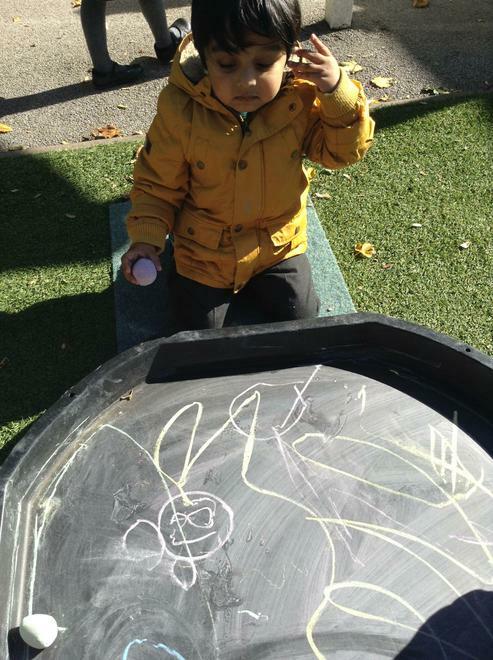 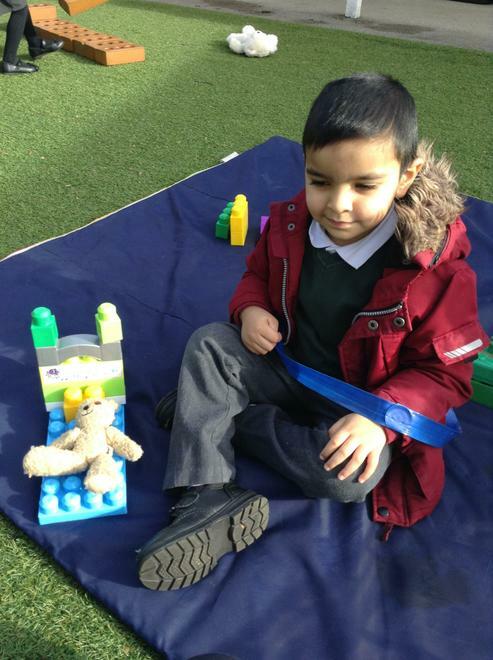 Our main aim during the initial weeks is to ensure that each child feels safe, settled and secure where they develop positive relationships and bonds with those around them. 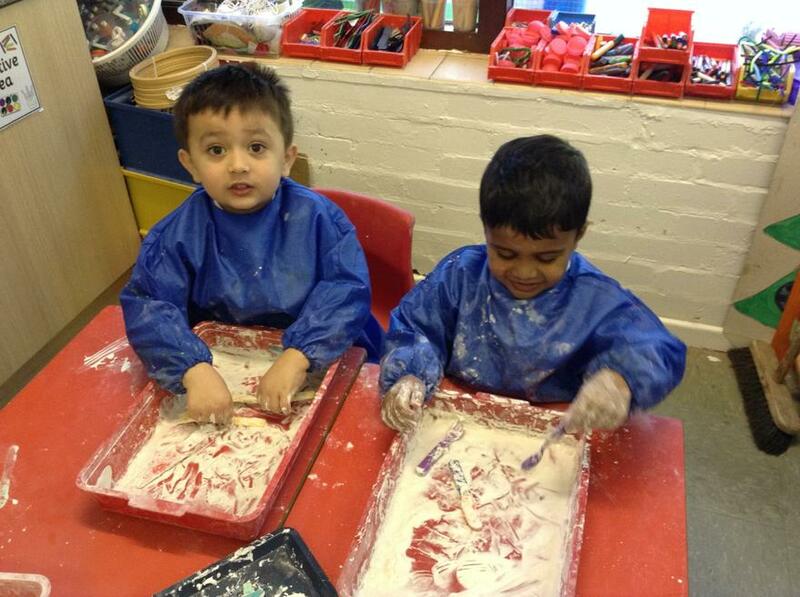 By the end of the first term you’ll be amazed by their confidence and ability. 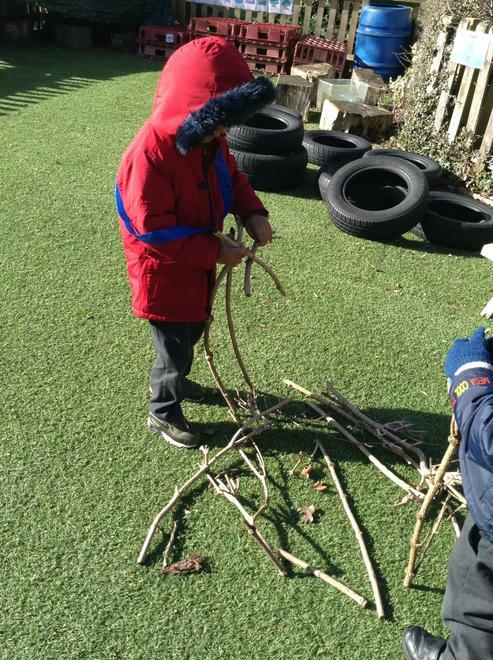 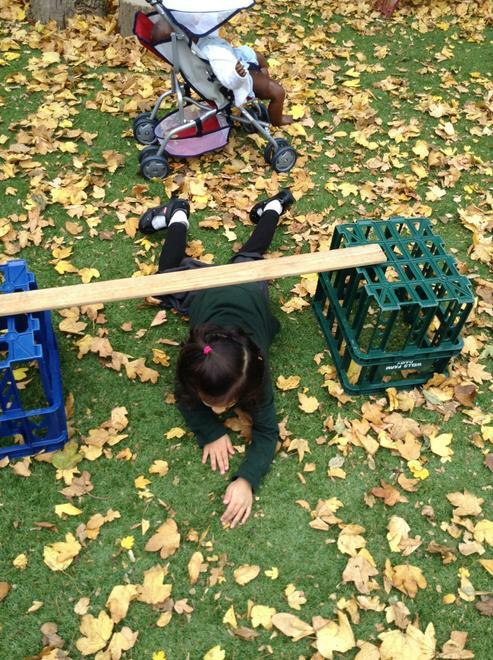 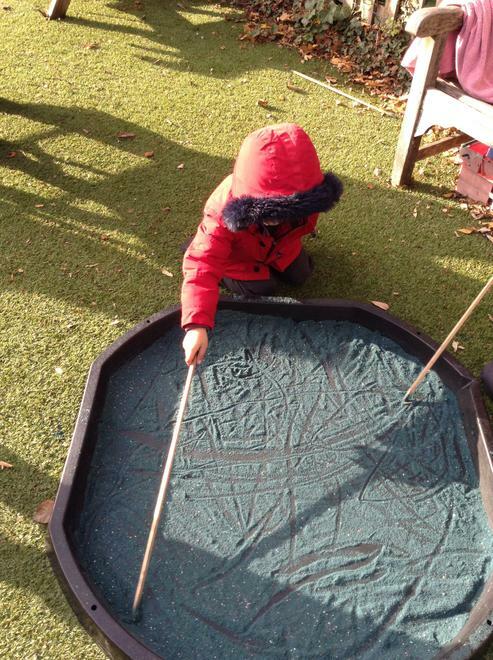 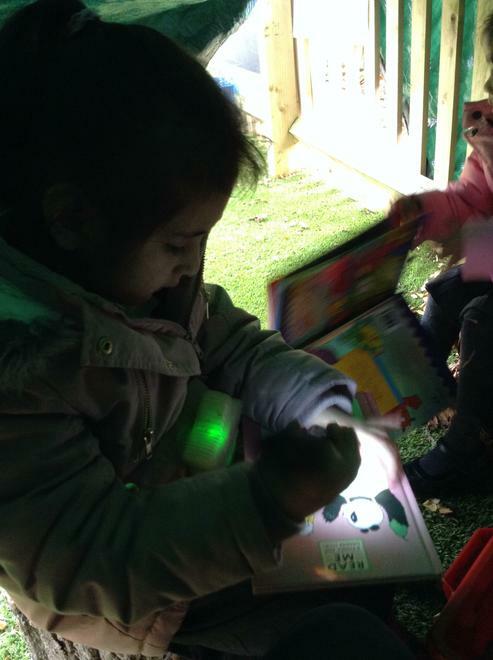 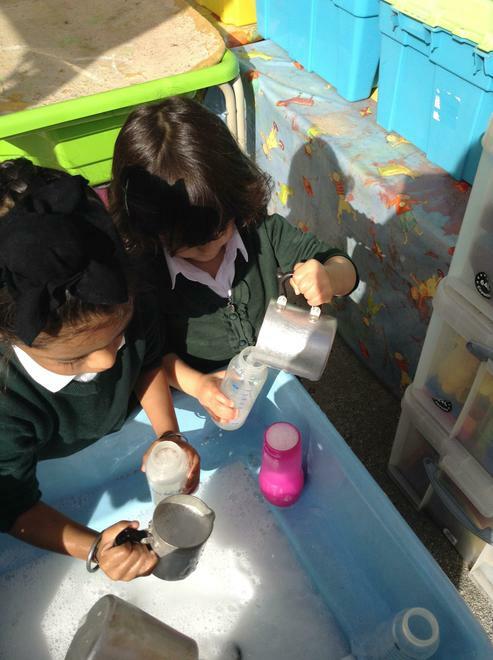 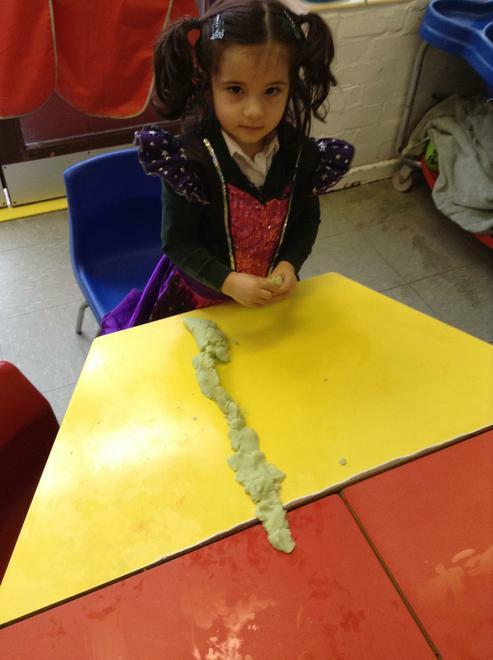 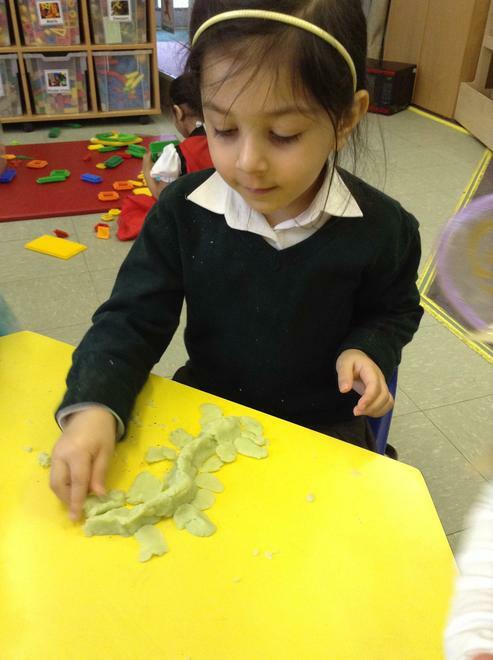 At Hall Green, we know and understand that children learn rapidly through rich opportunities, where they explore, investigate and discover. 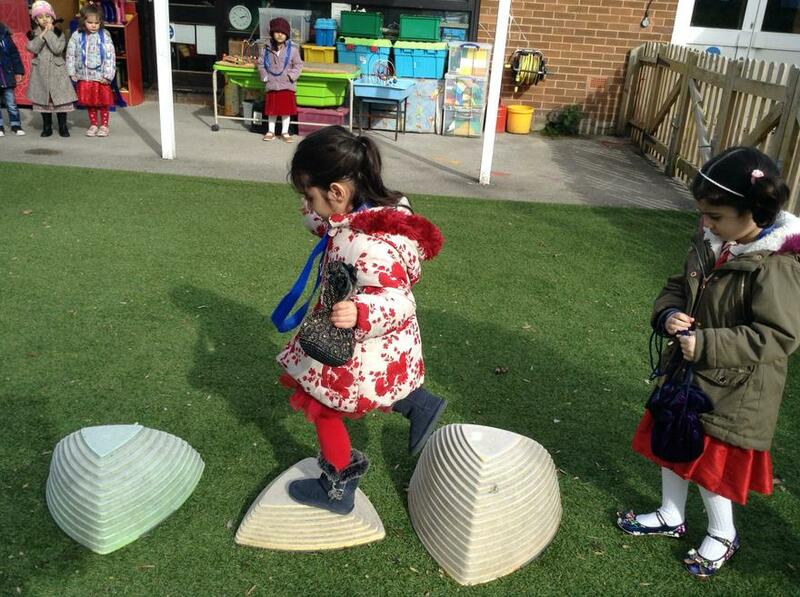 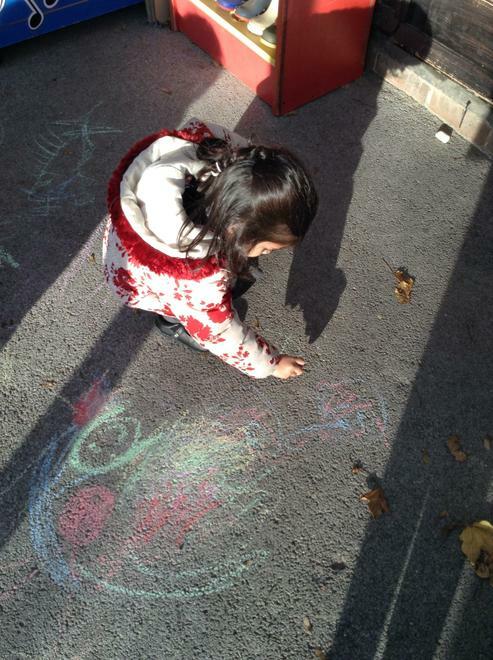 Our topic based curriculum provides activities that are engaging, meaningful and fun. 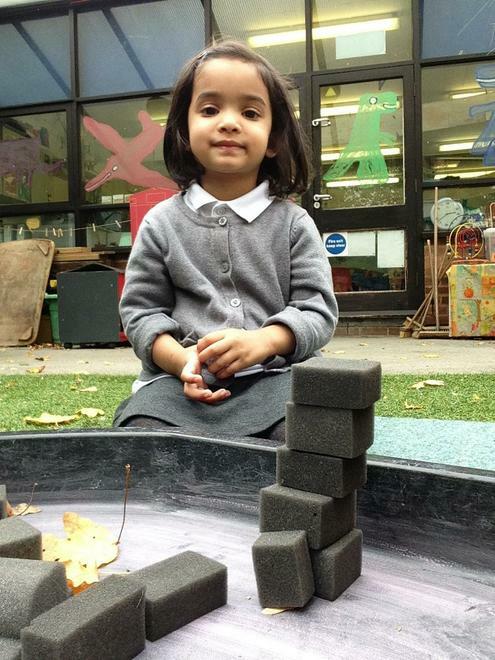 In order to achieve this, we carefully plan a progressive curriculum, guided by the children’s interests’ and questions to ensure all pupils succeed. 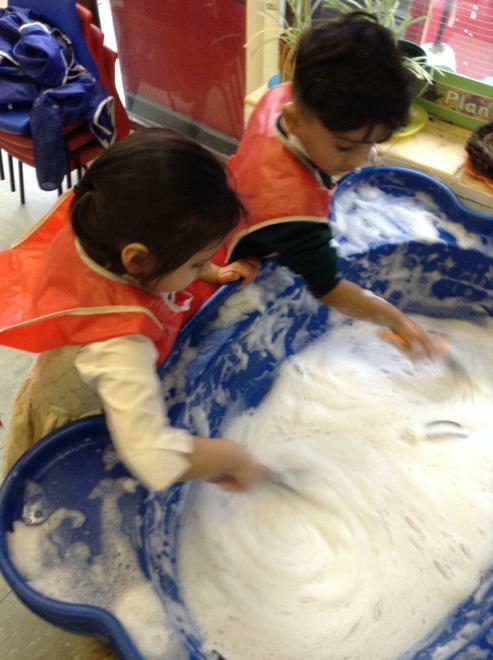 We provide many hands on experiences and with the right balance of challenge and support. 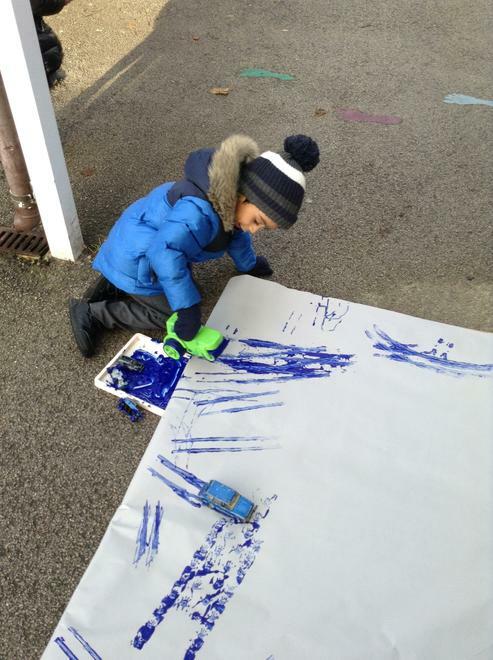 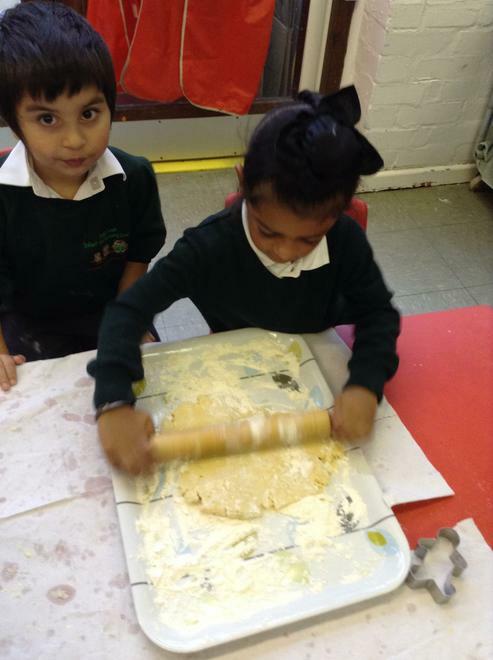 Children are actively involved in a range of memorable learning experiences which promote creativity, independence and enjoyment. 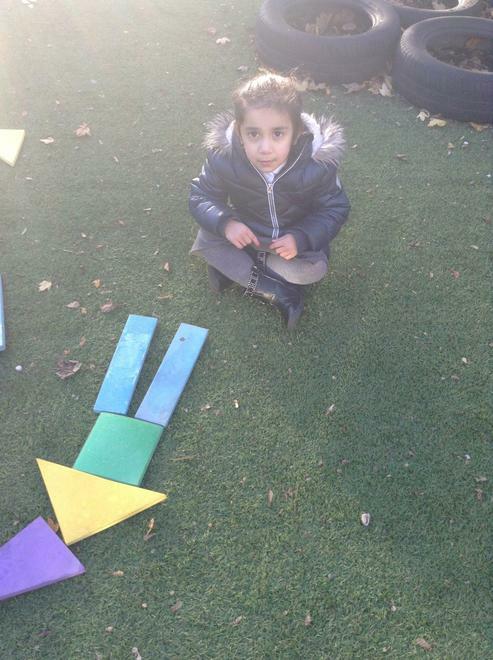 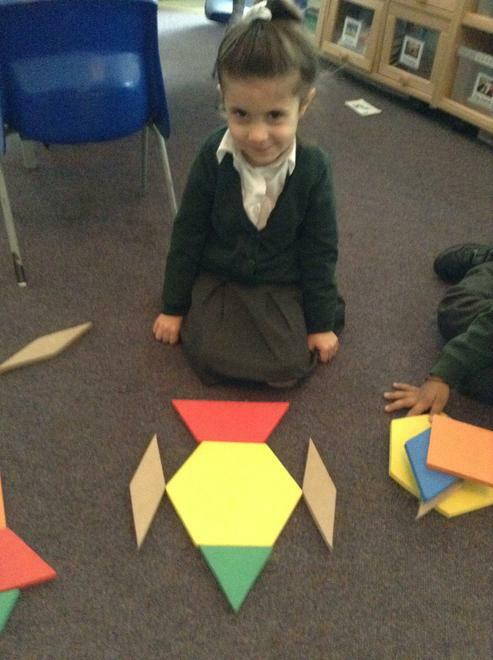 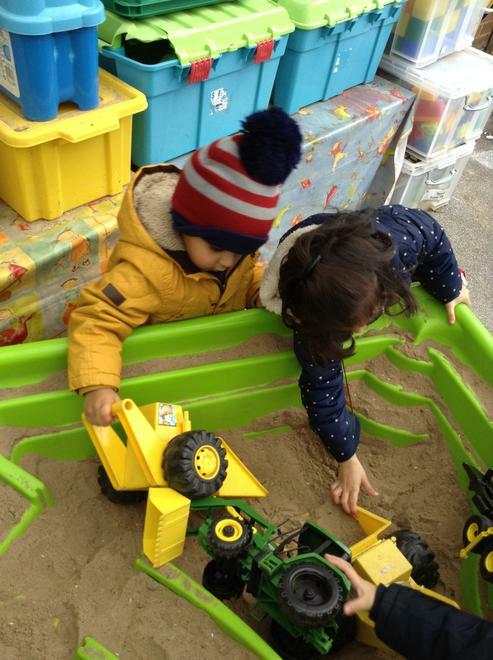 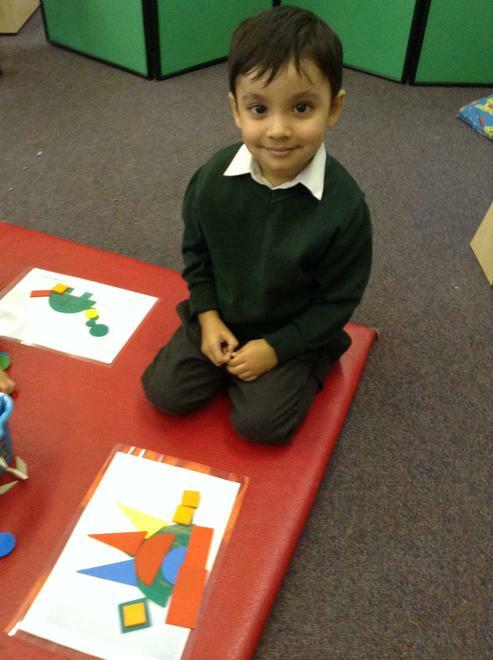 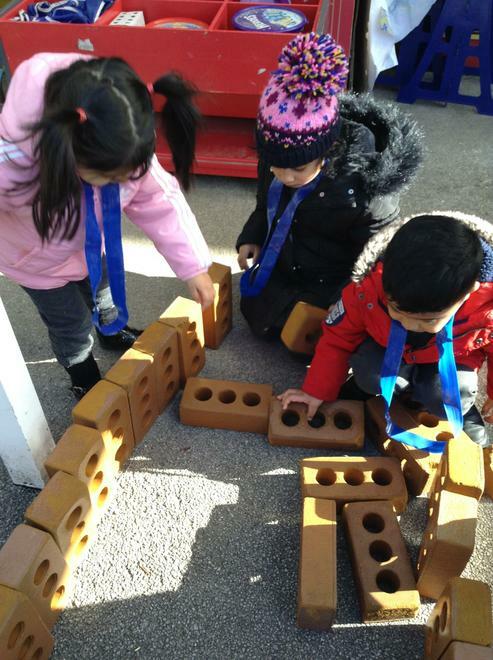 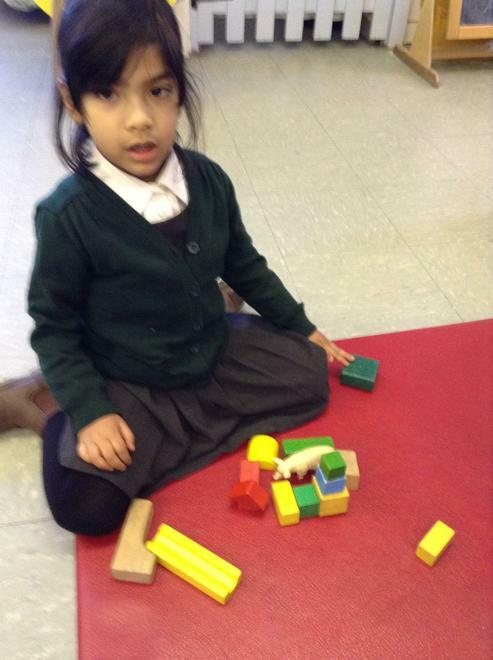 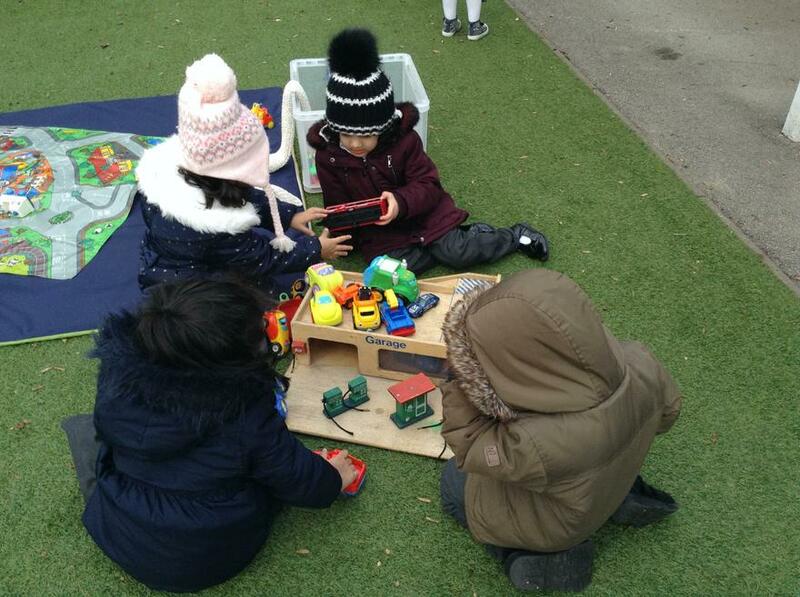 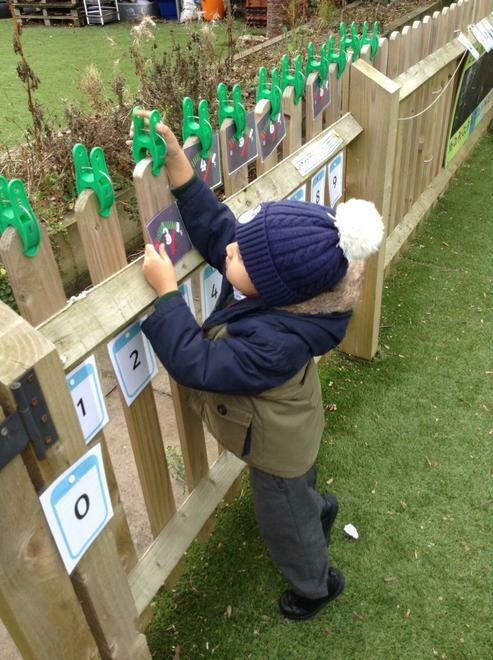 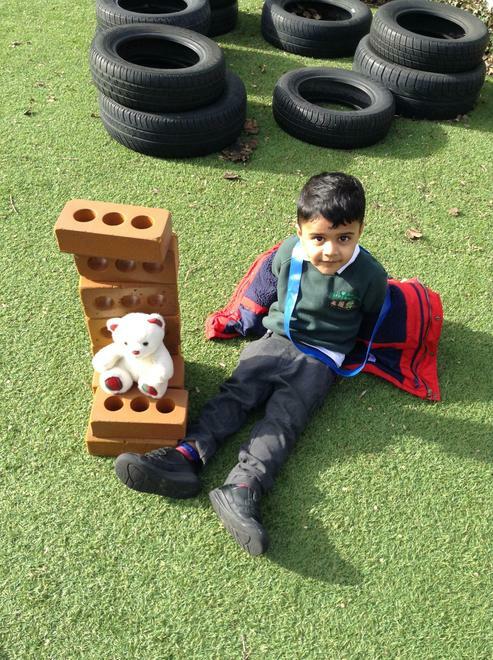 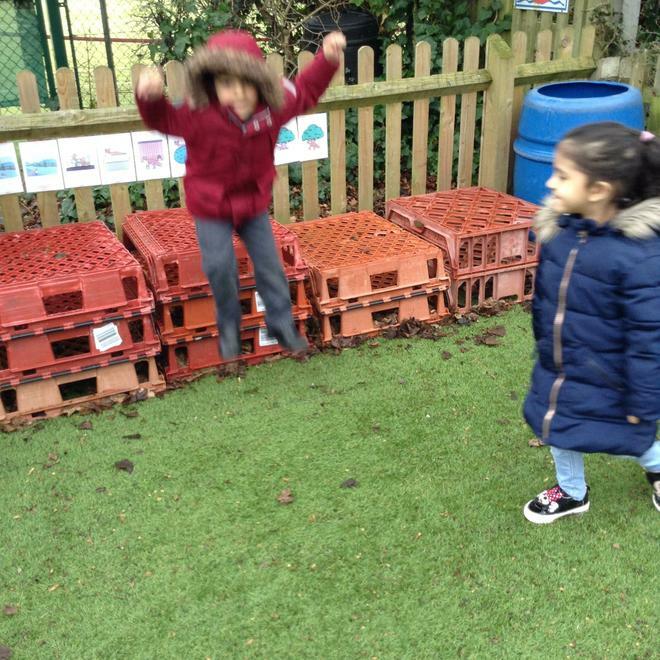 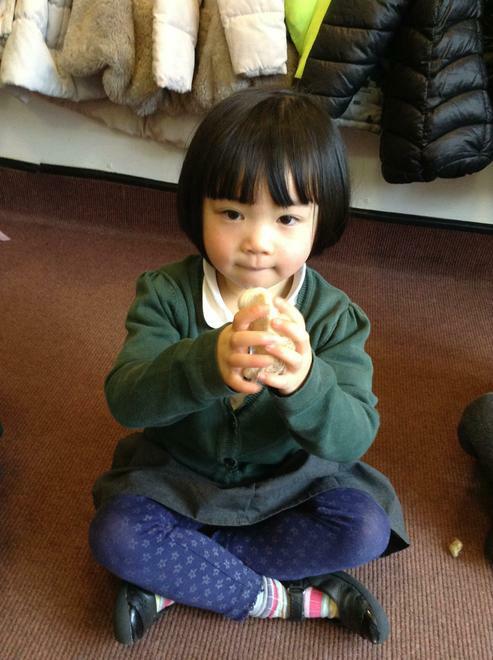 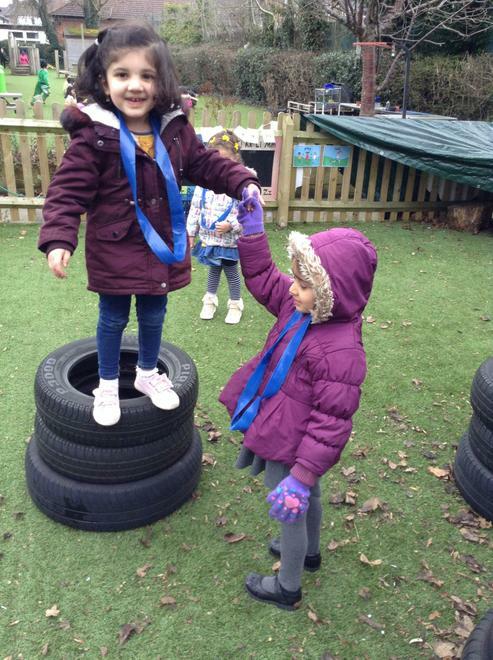 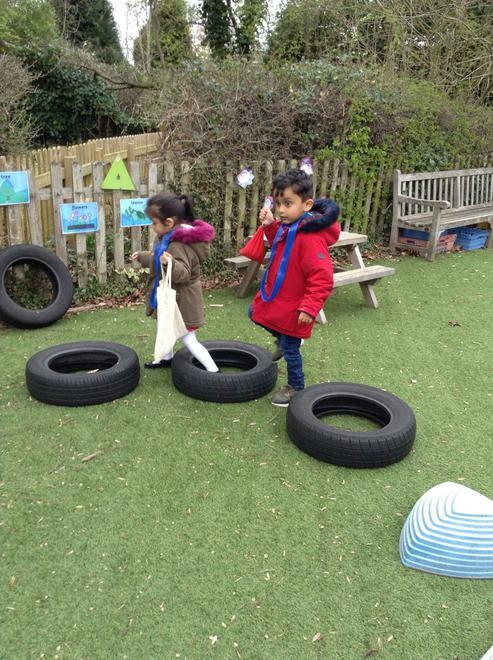 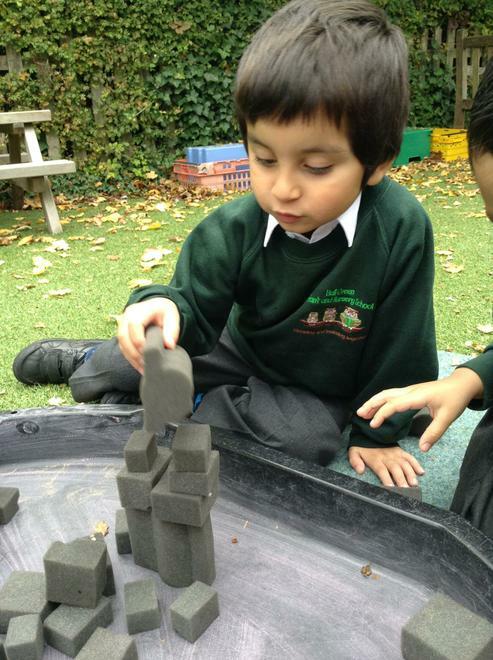 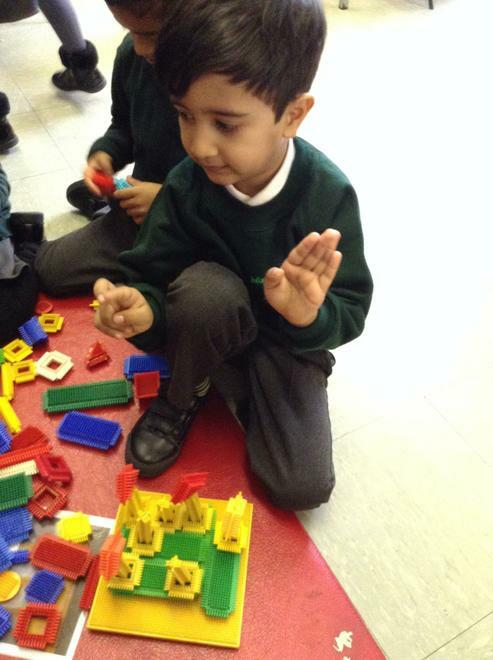 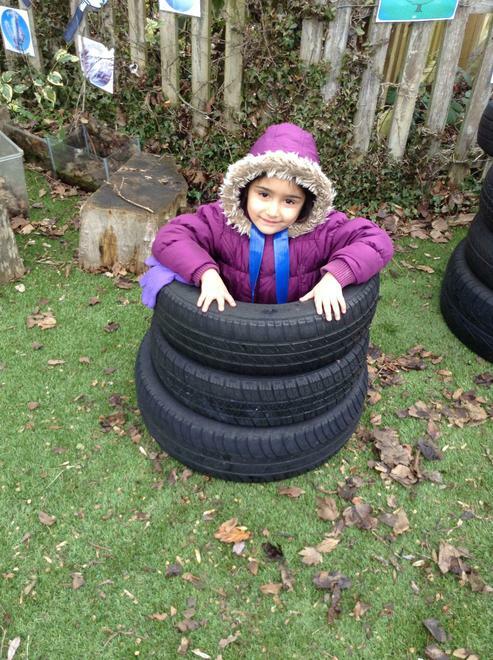 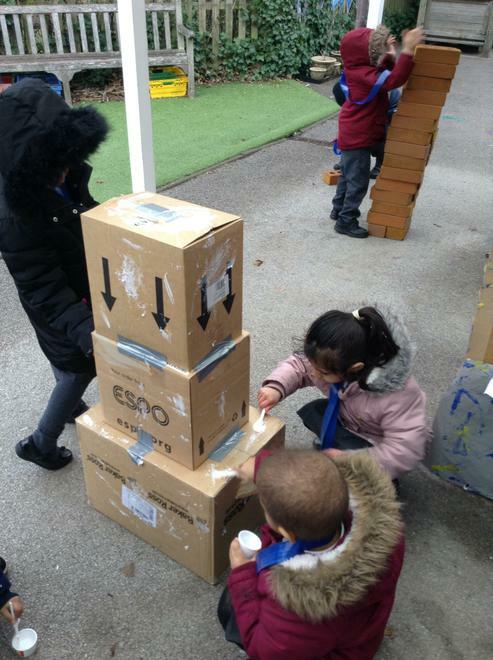 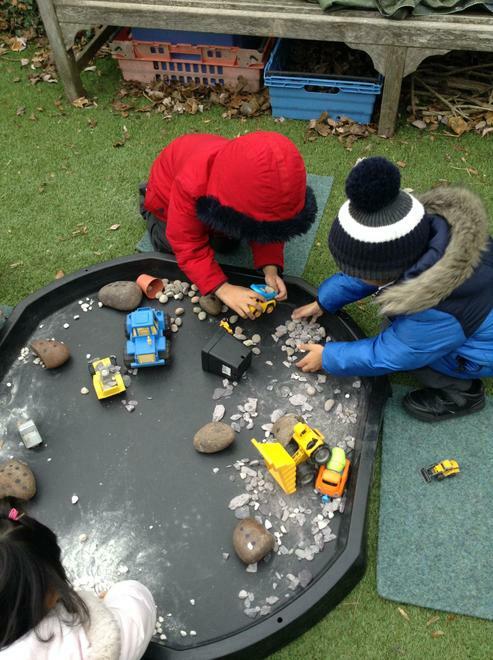 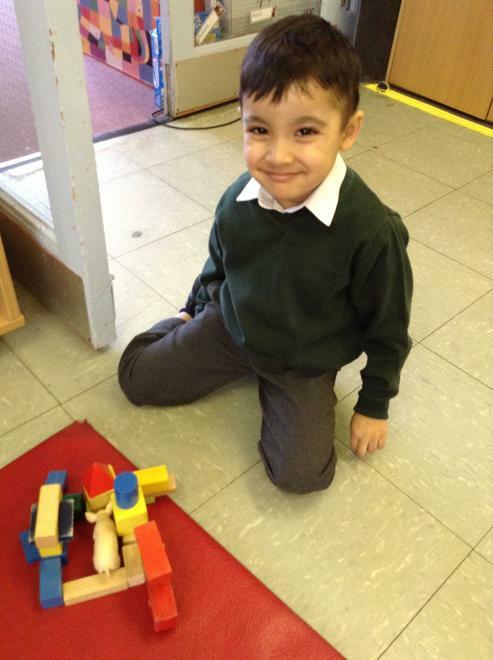 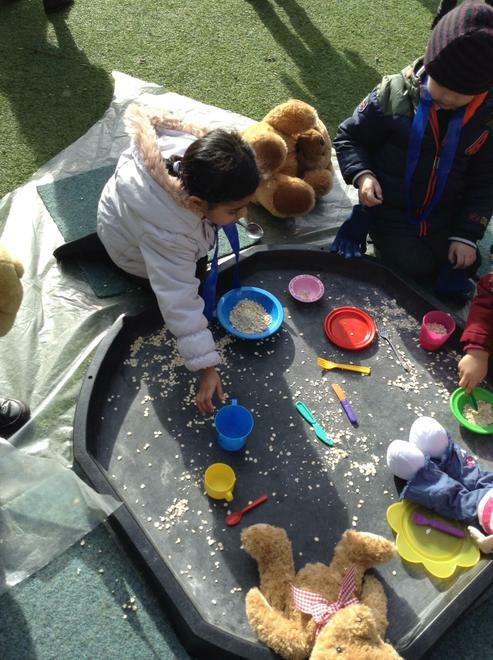 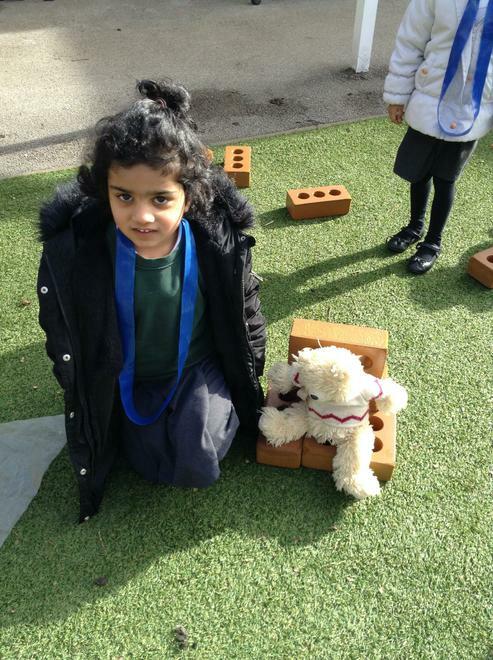 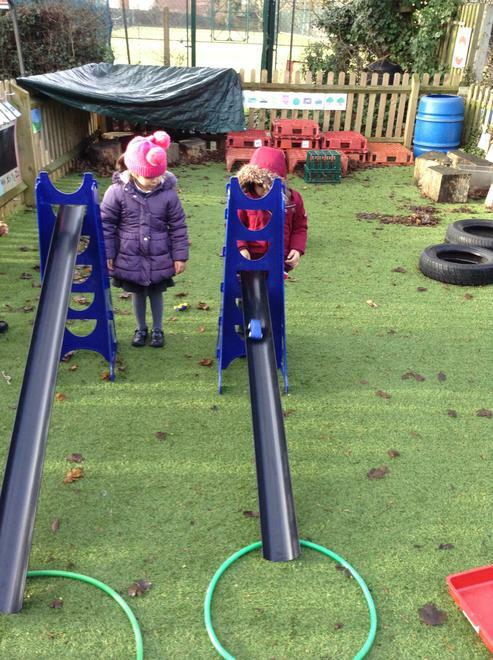 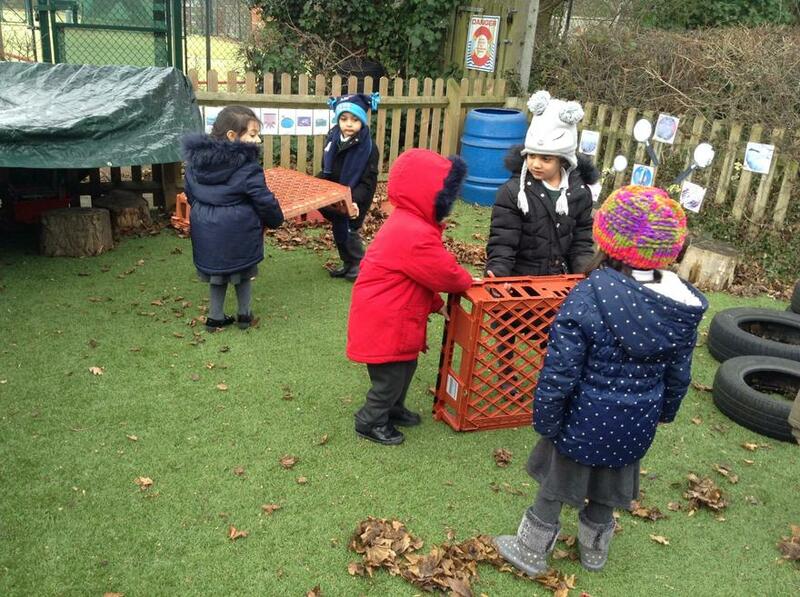 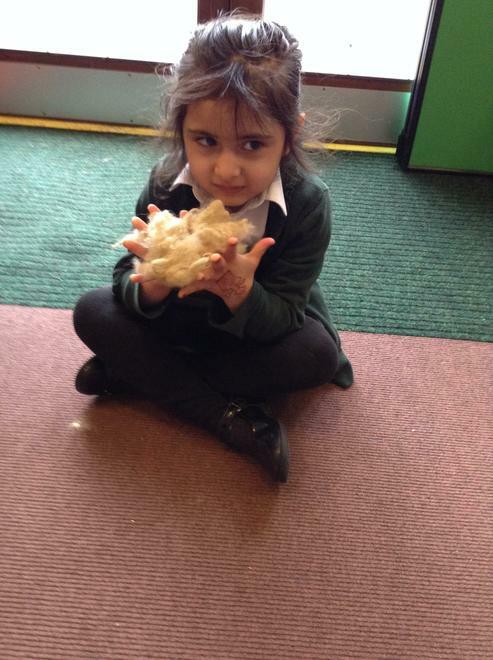 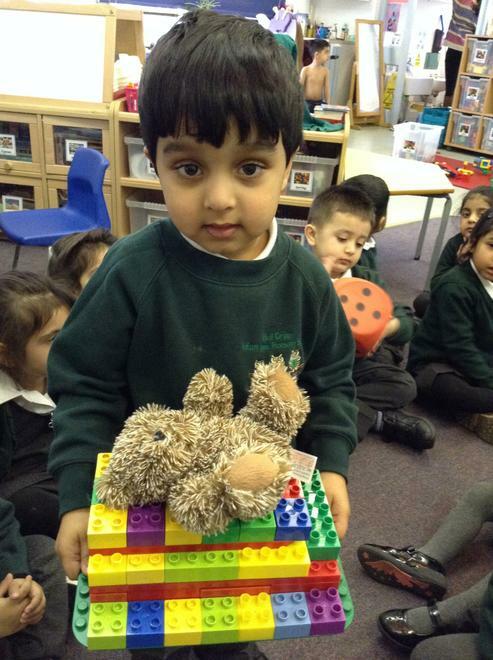 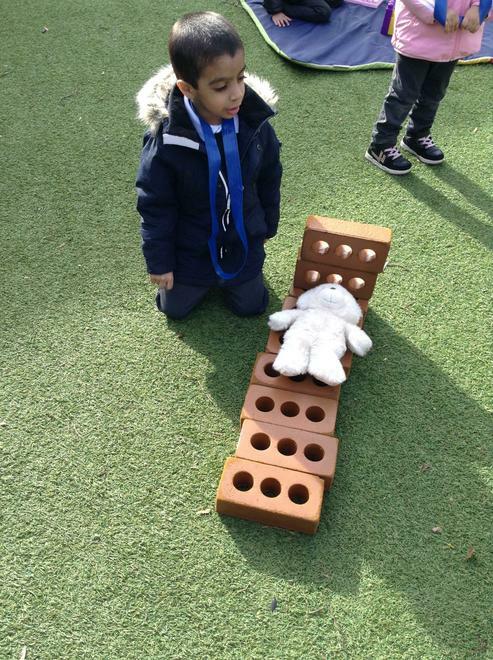 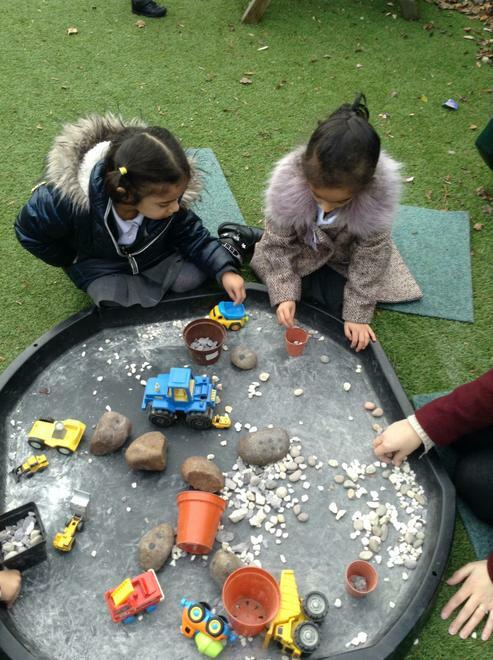 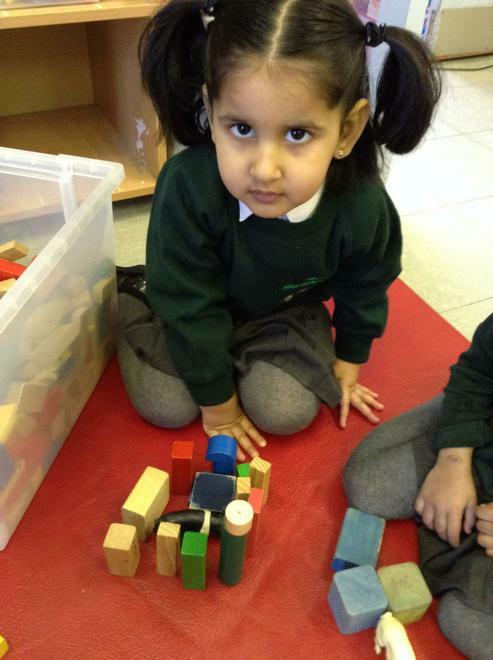 The children have settled into the nursery setting and are building up relationships with staff and each other. 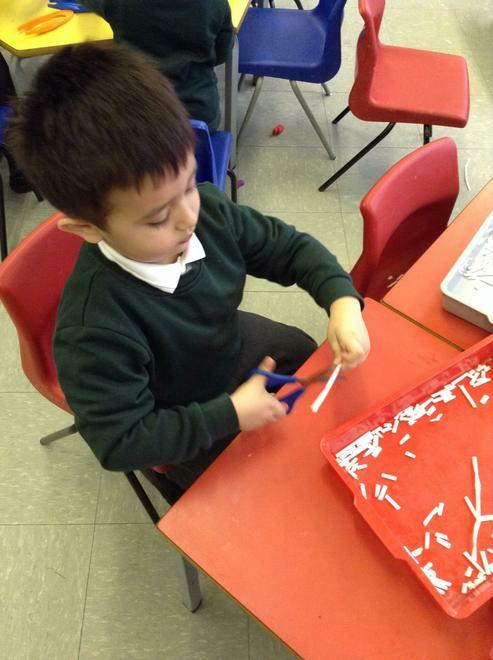 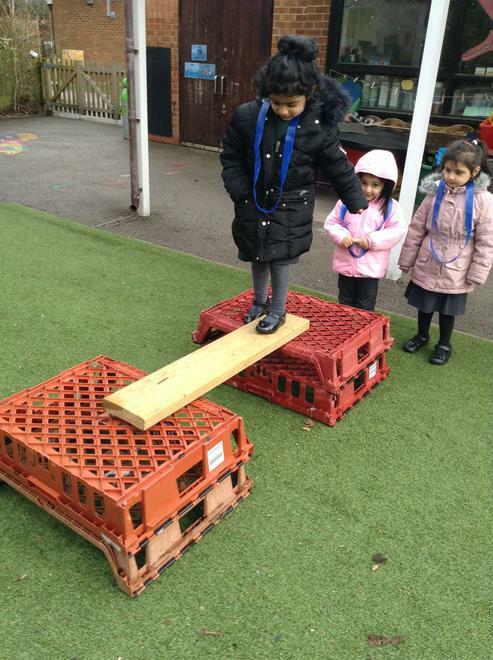 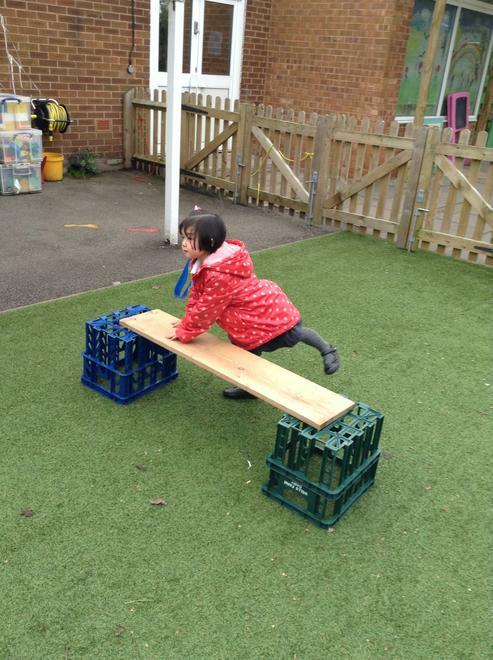 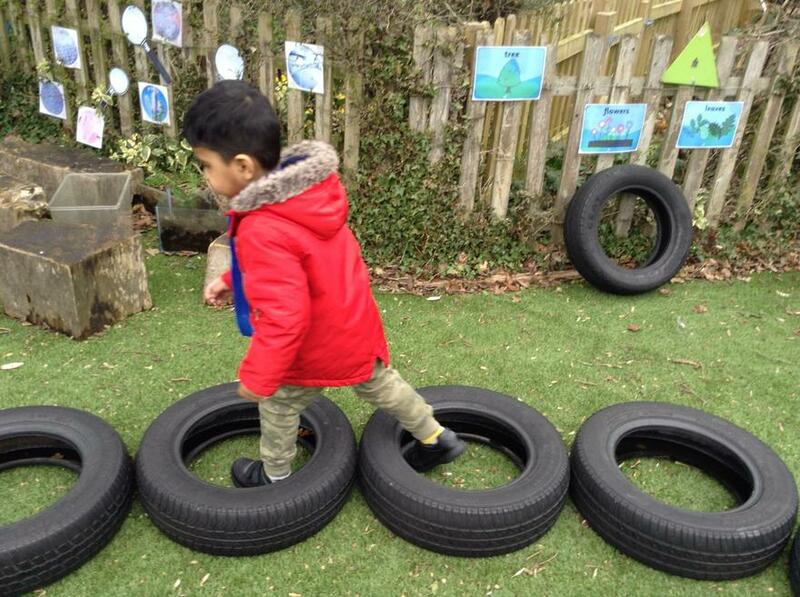 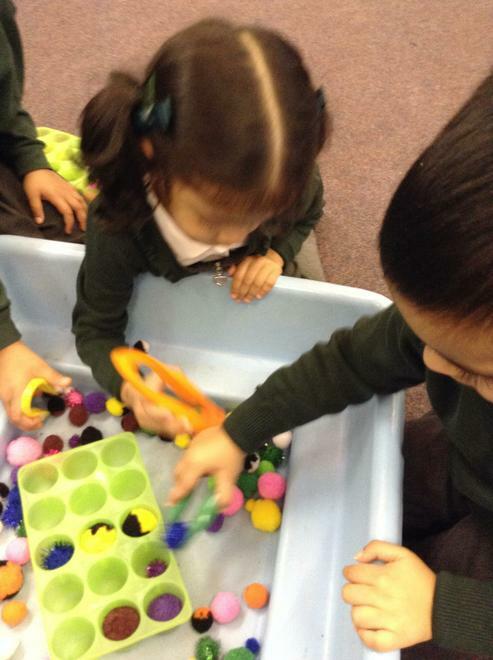 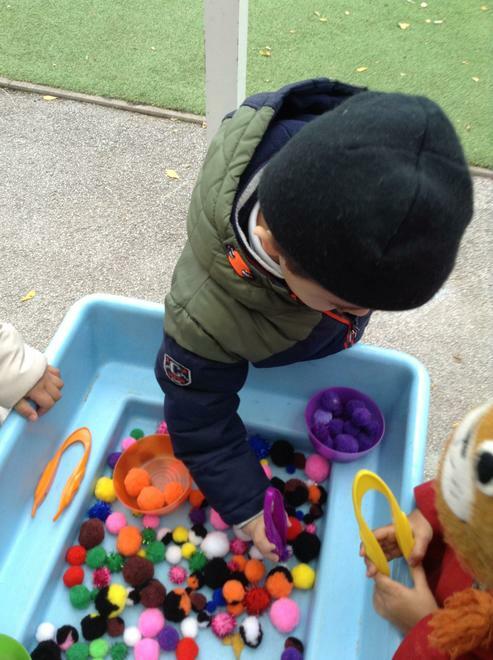 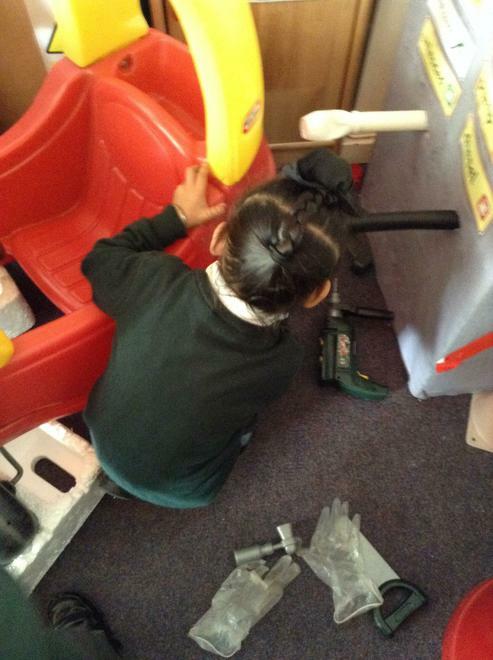 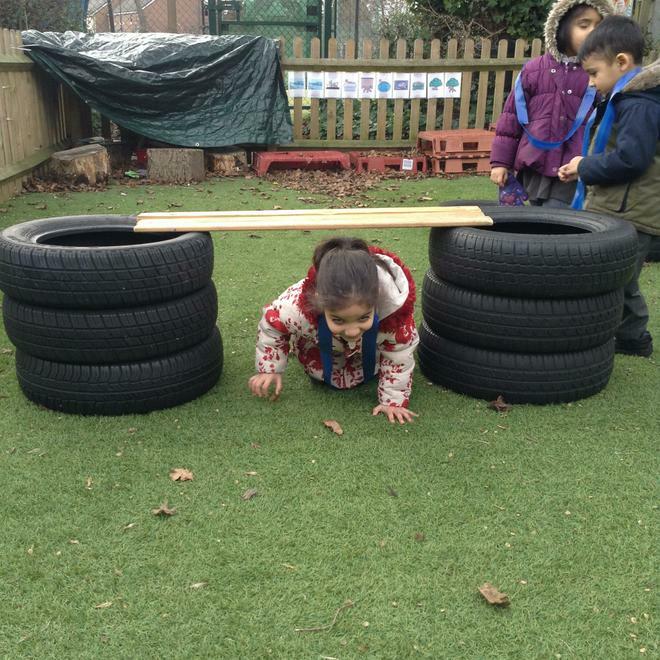 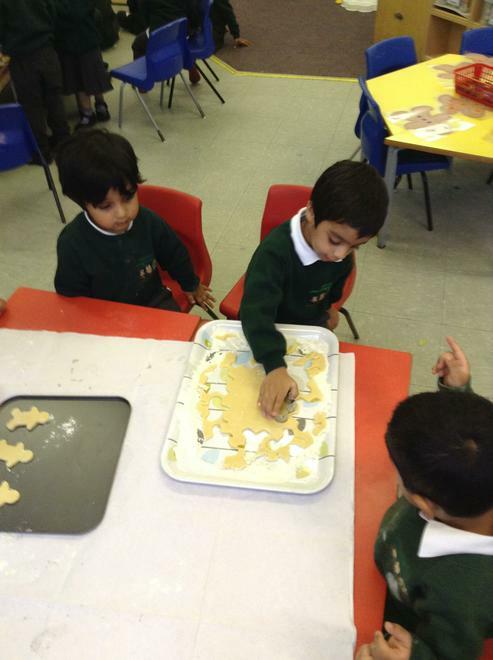 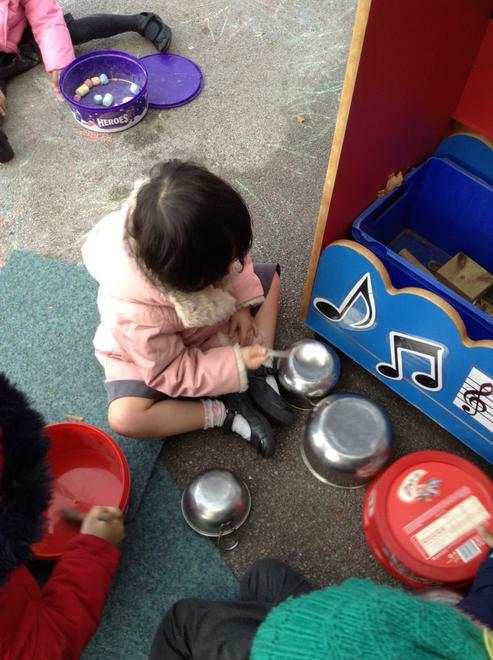 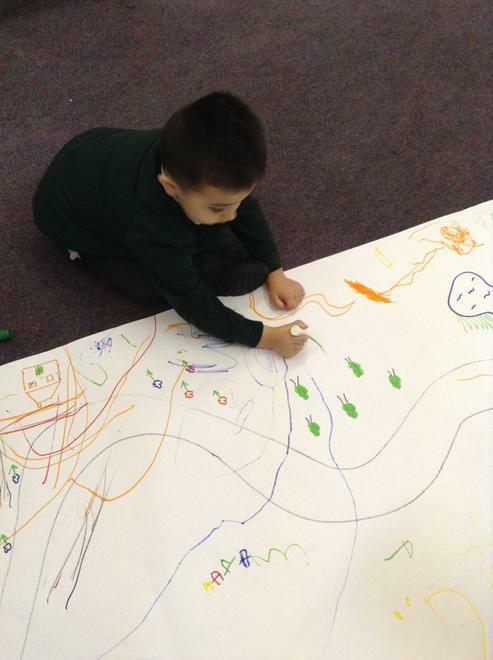 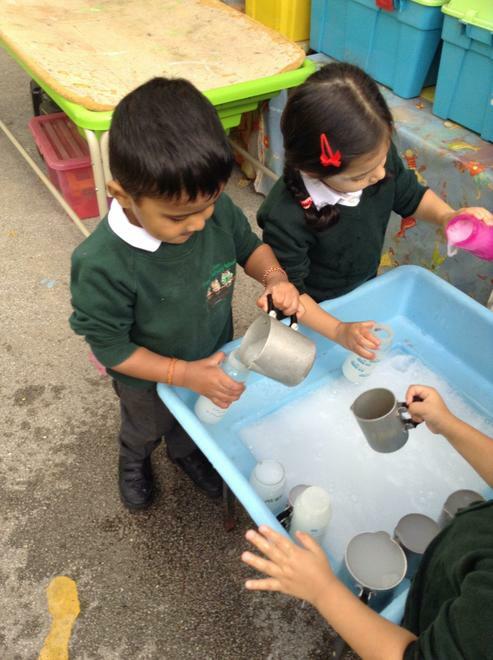 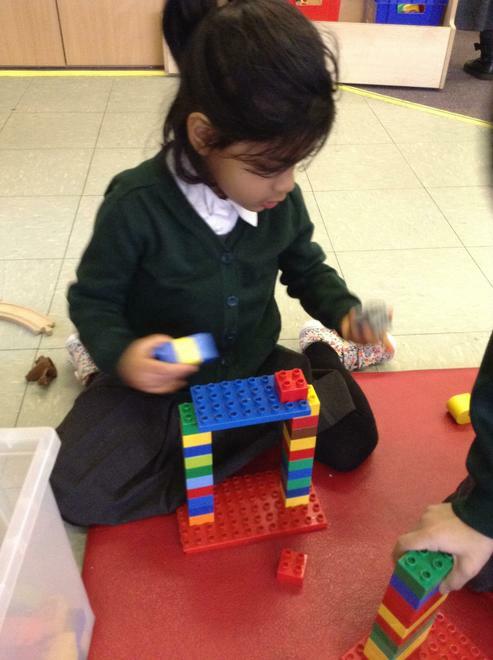 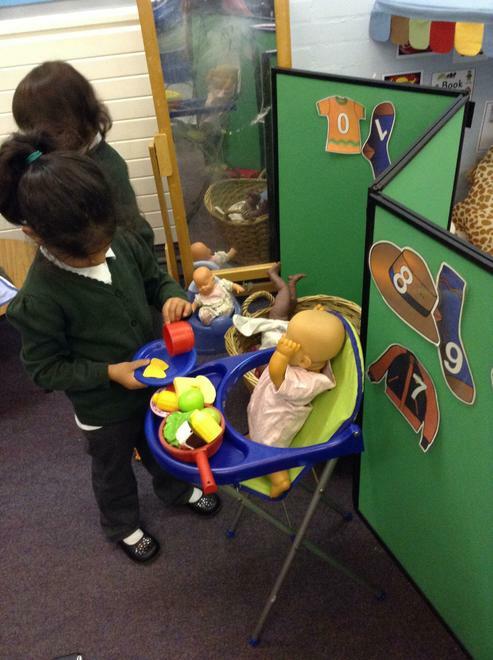 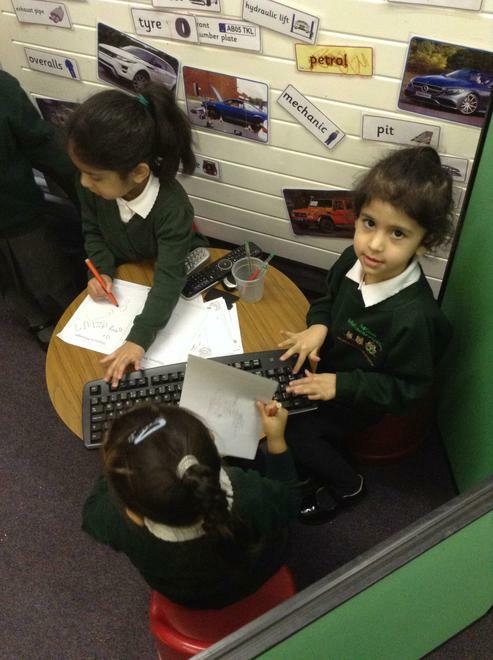 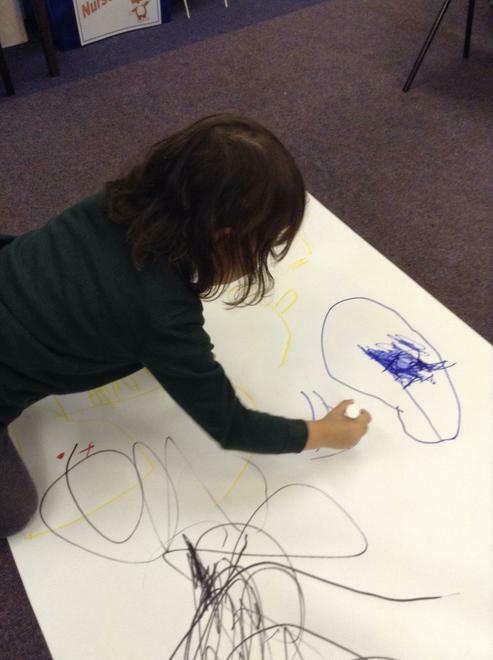 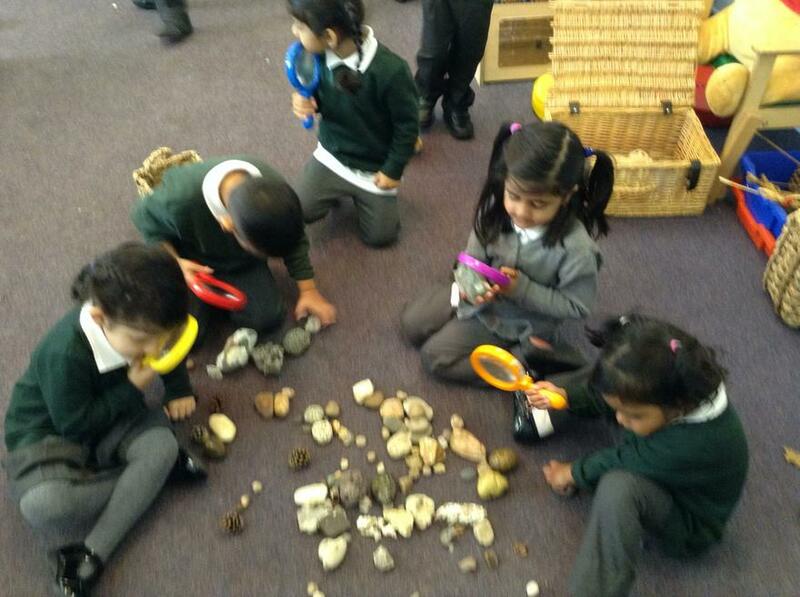 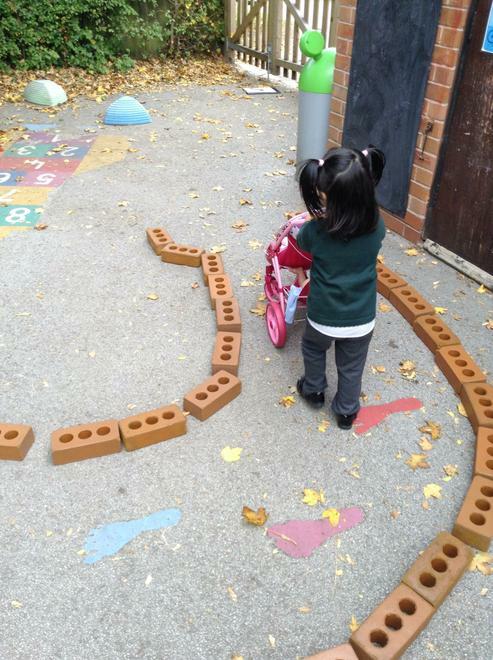 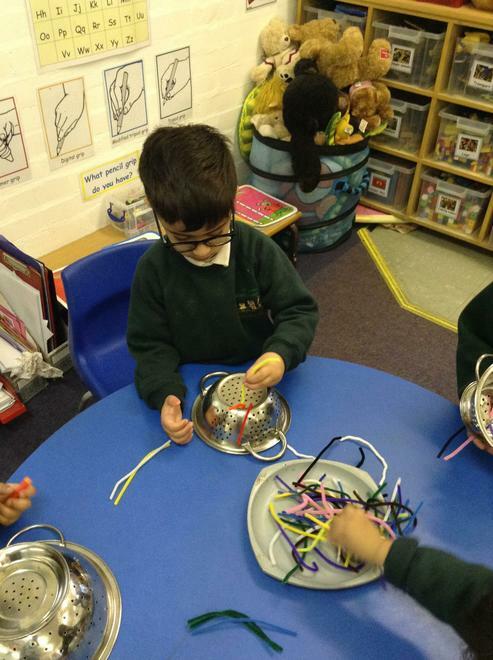 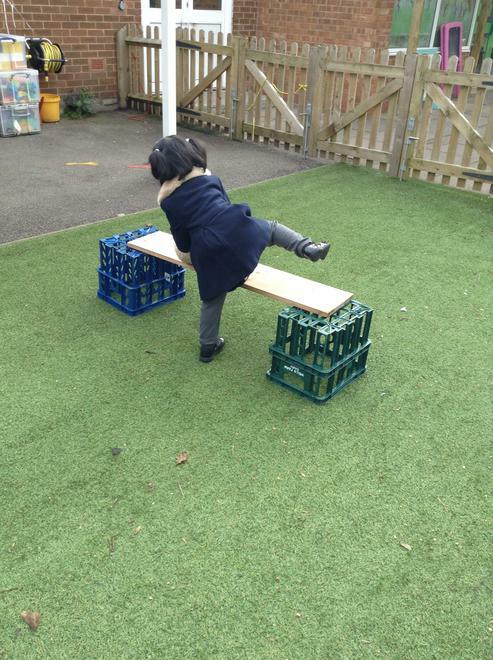 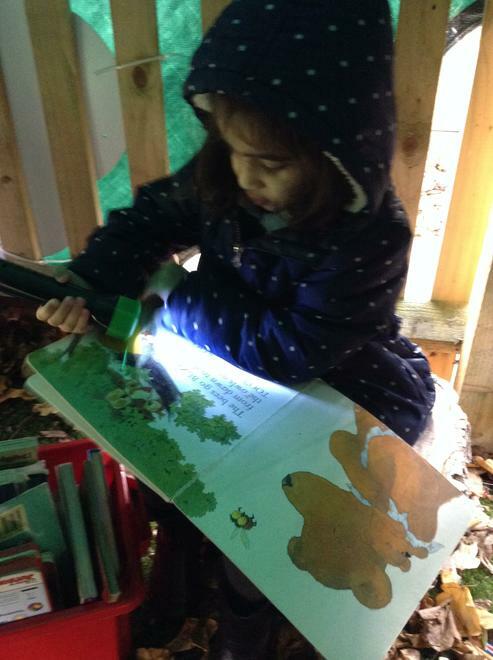 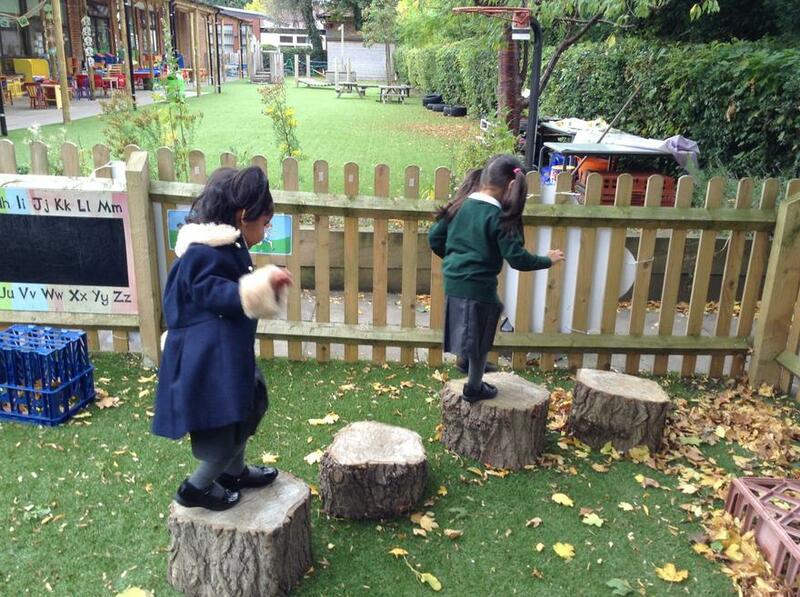 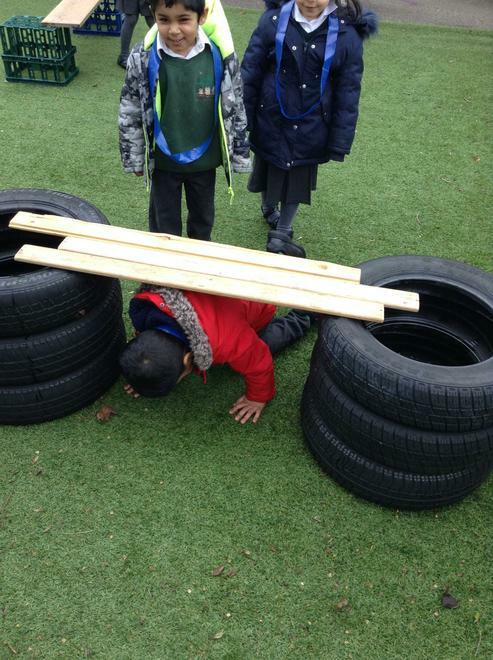 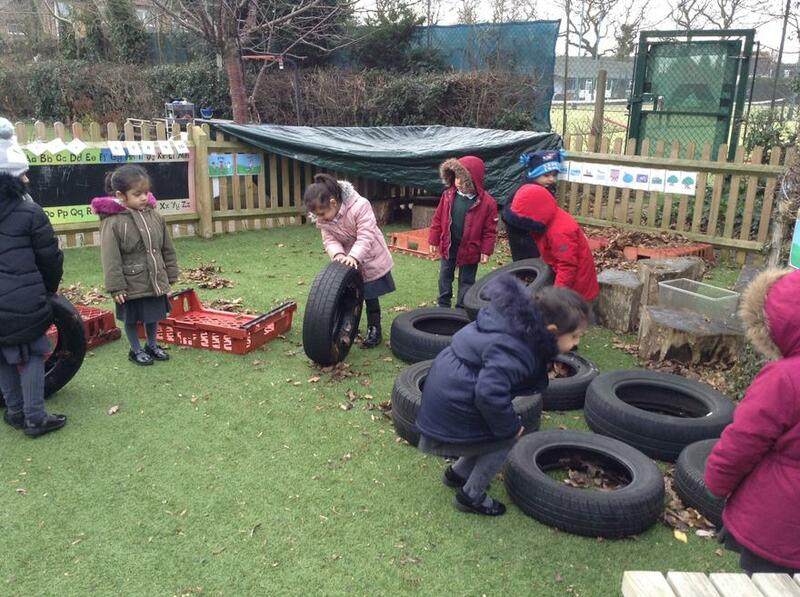 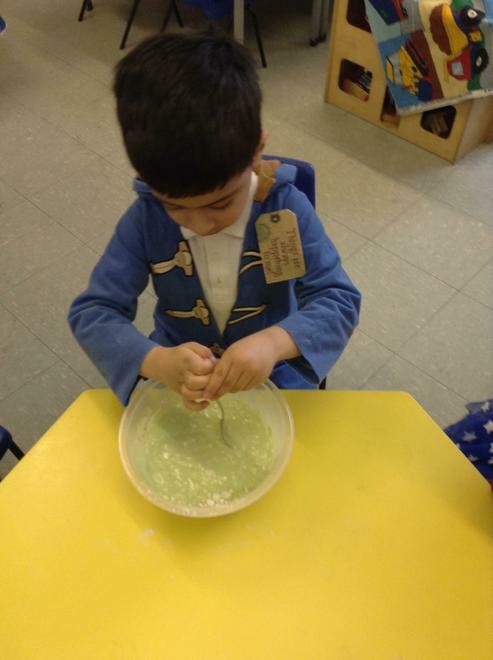 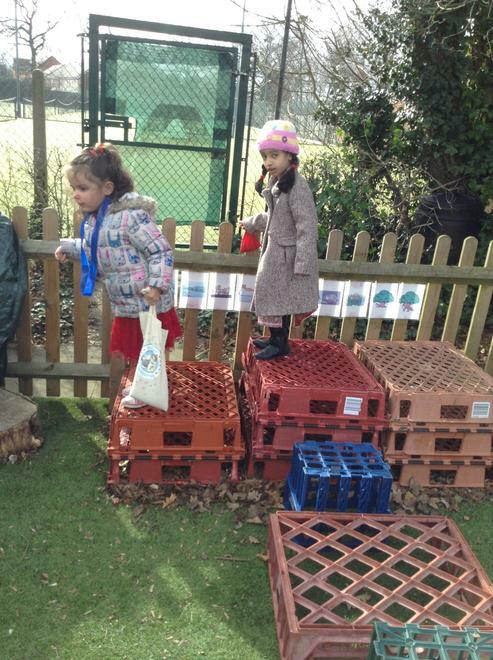 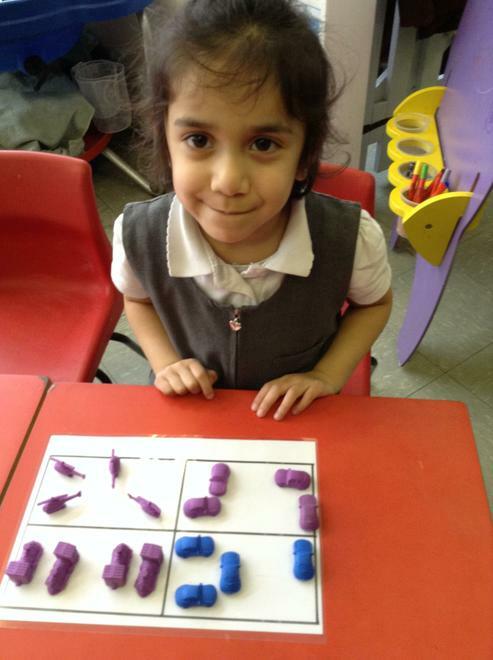 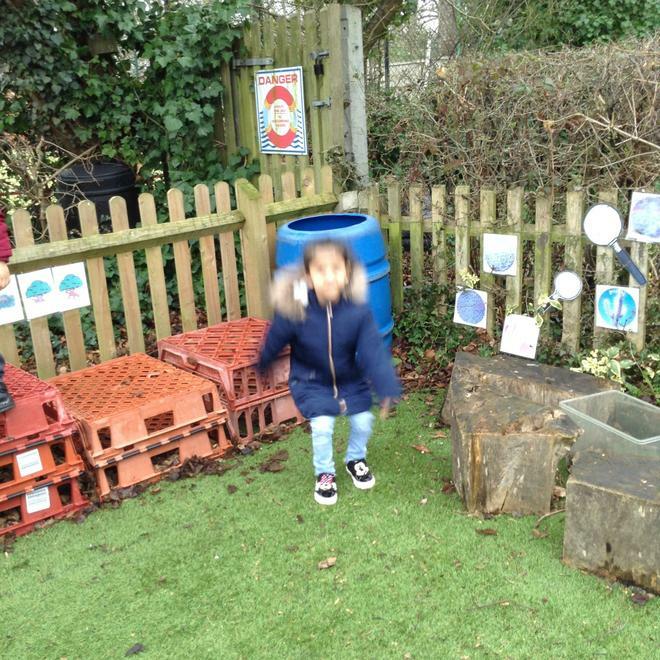 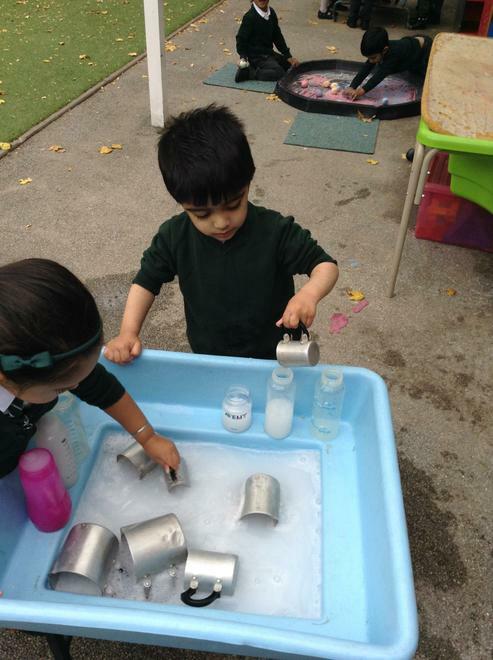 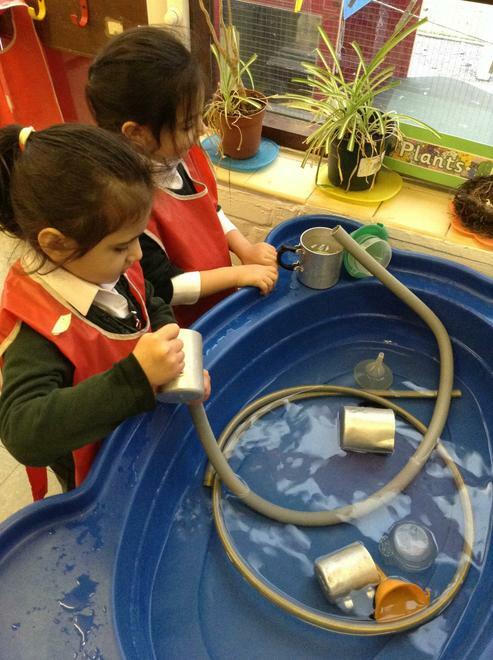 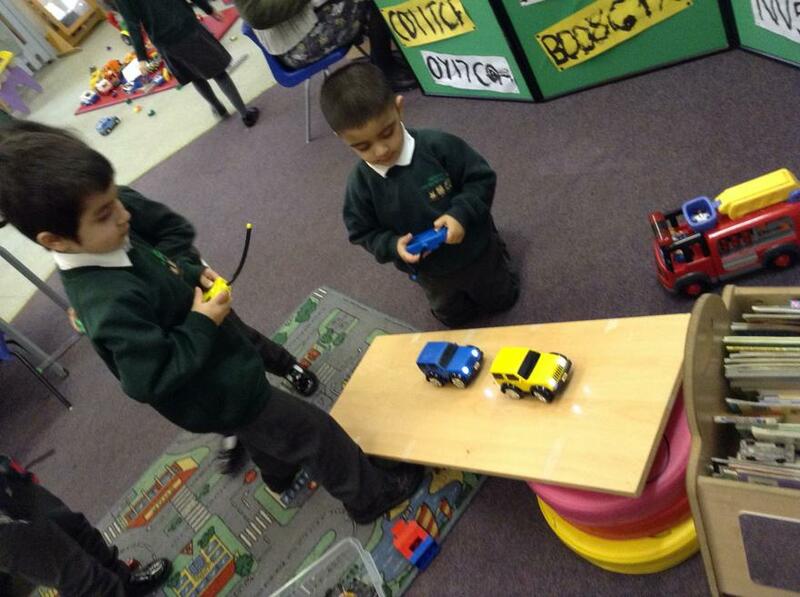 They have begun to explore the resources nursery has to offer. 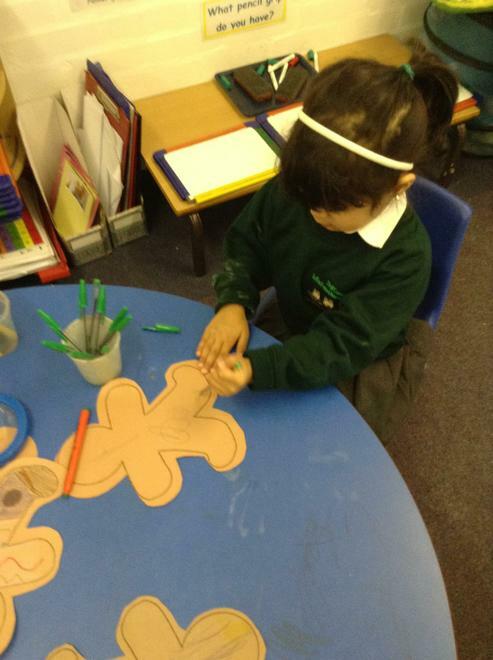 This half term we have enjoyed finding out about ourselves and our family. 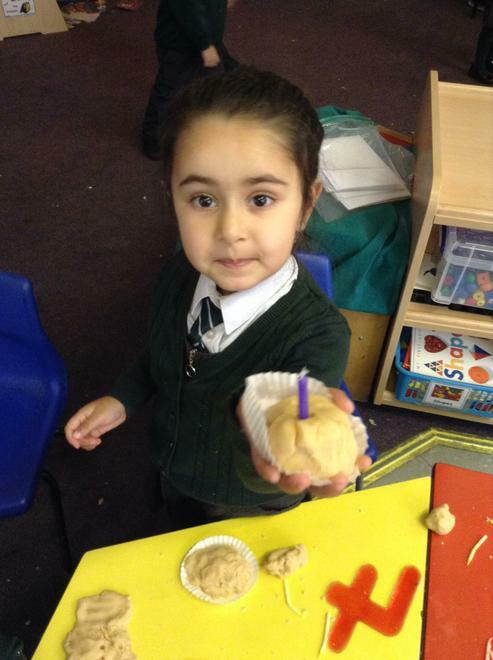 This half term we learnt about different festivals and celebrations and how people celebrate them. 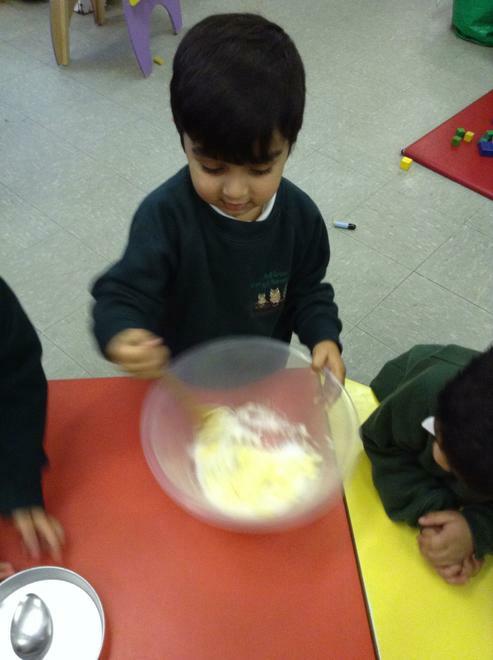 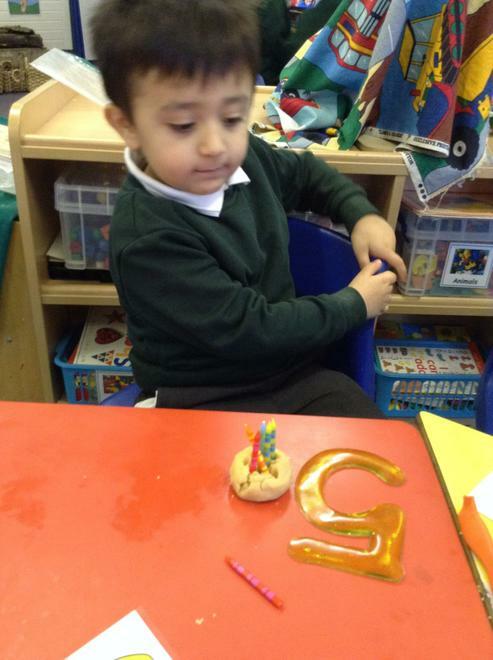 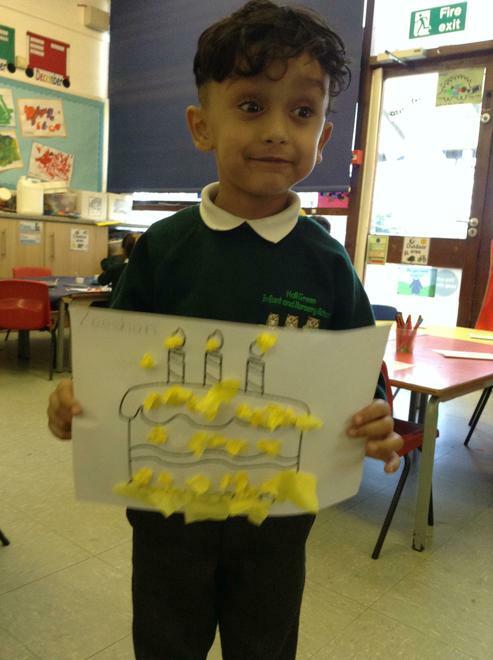 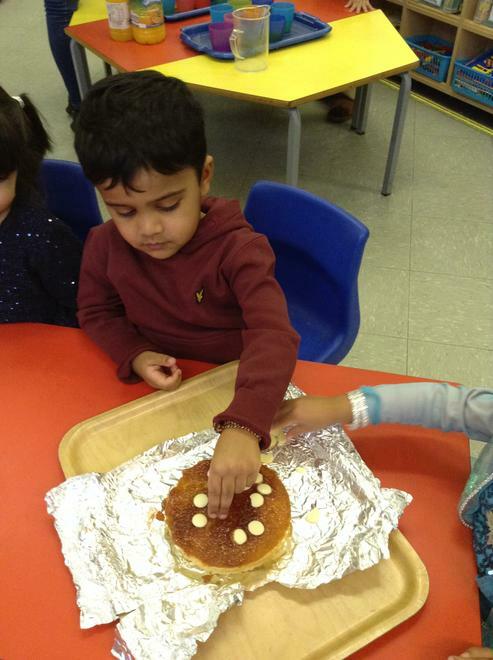 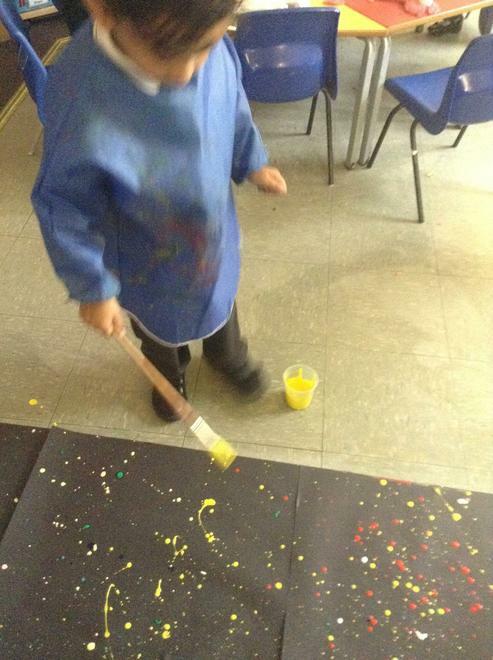 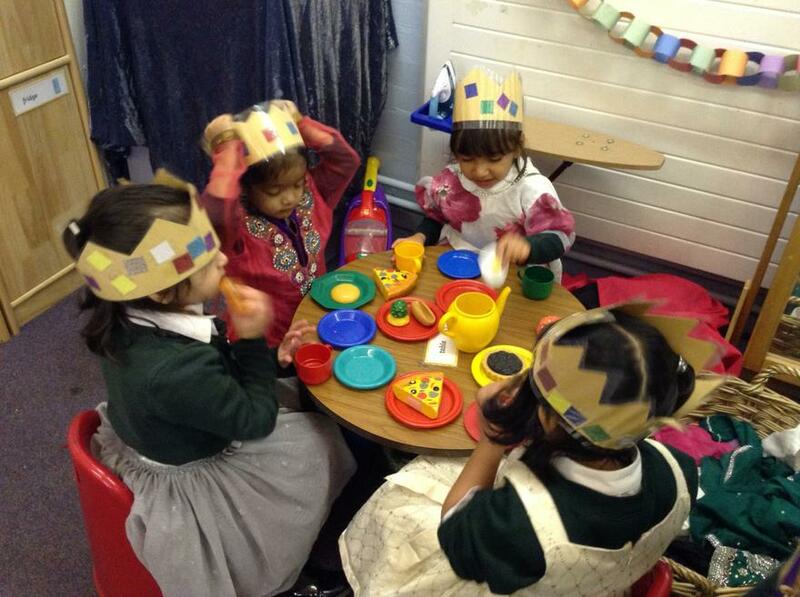 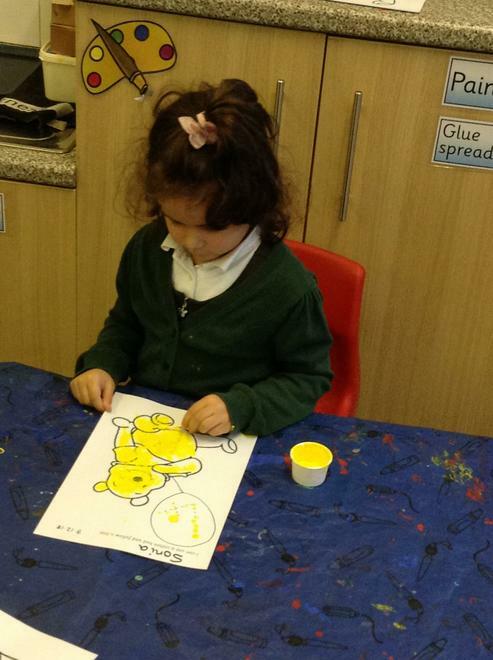 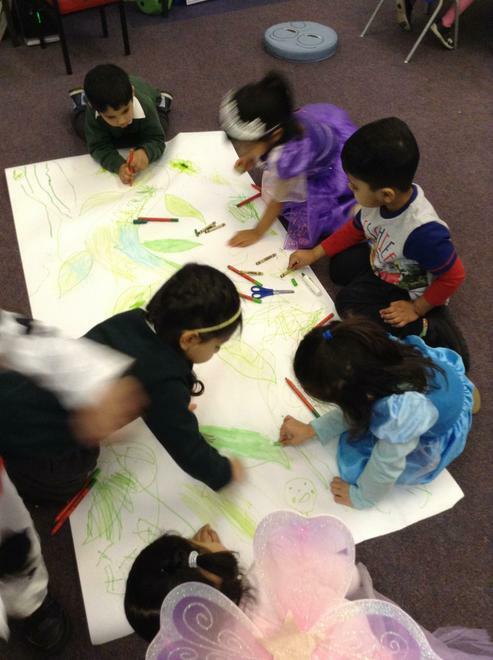 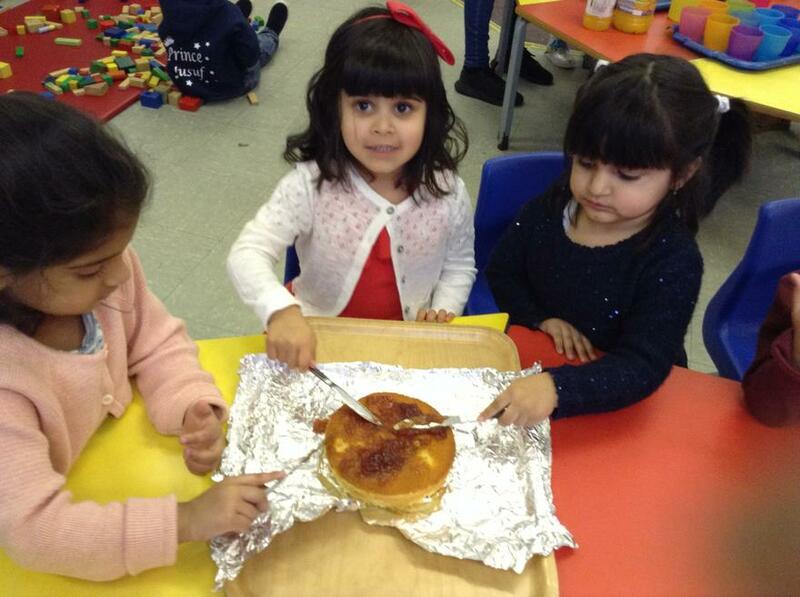 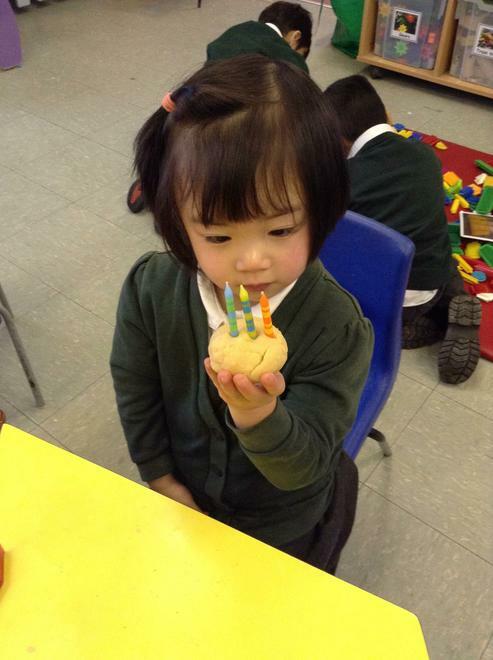 The Nursery children had a great time celebrating Pooh Bear;s 4th Birthday party. 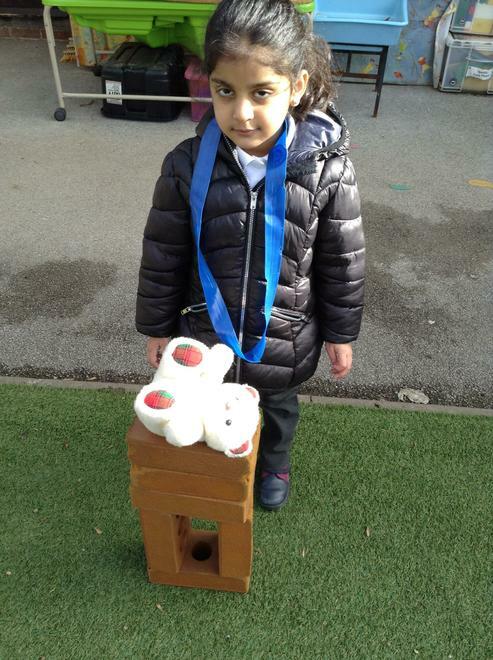 All the preparation, activities and tasks which were carried out in the weeks leading up to it definitely paid off! 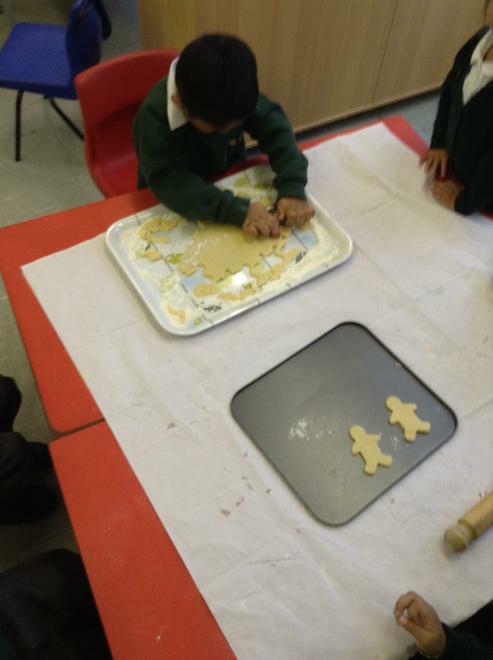 The Nursery staff would like to thank all the adults for attending the Christmas workshop. 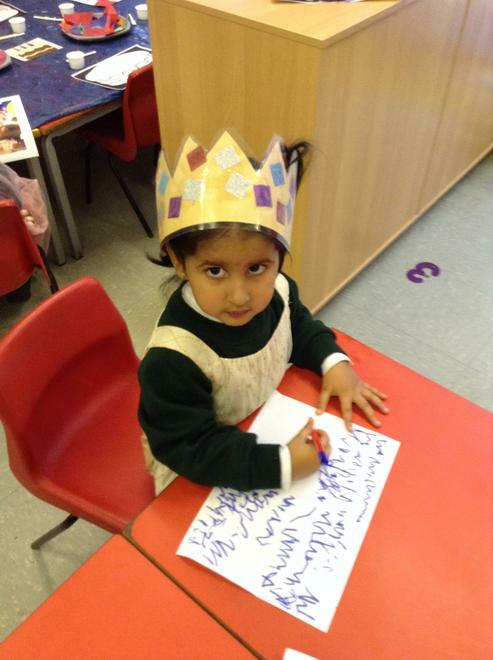 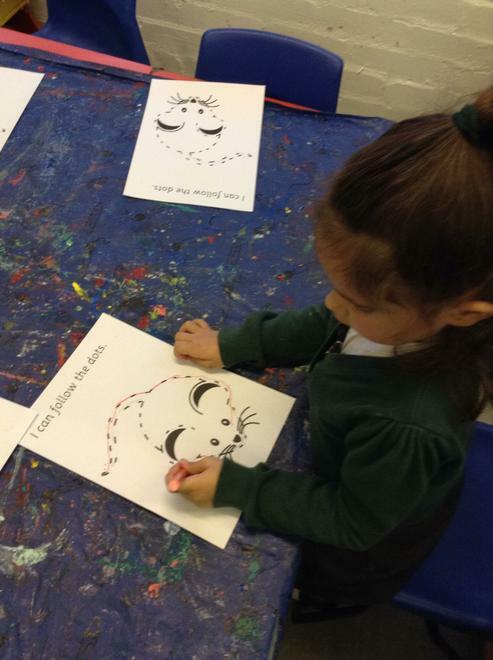 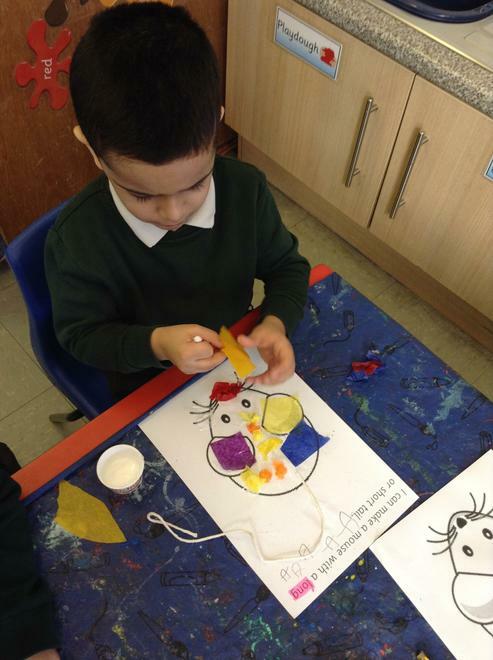 The children had a fabulous time spending quality time with their adult helper in creating Christmas cards. 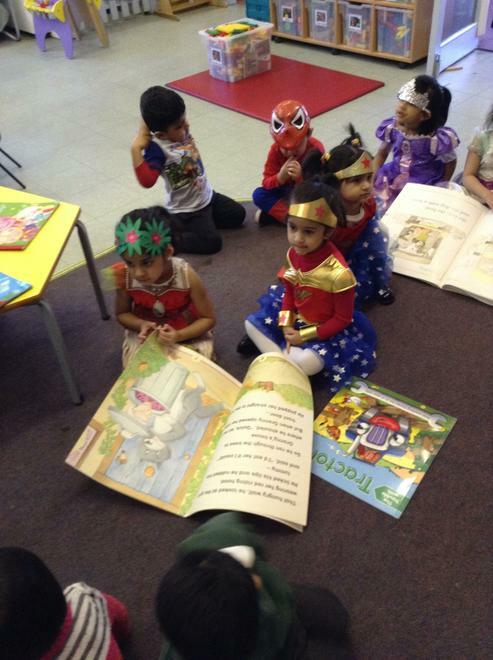 This was a successful event and we hope you will join us for the next one! 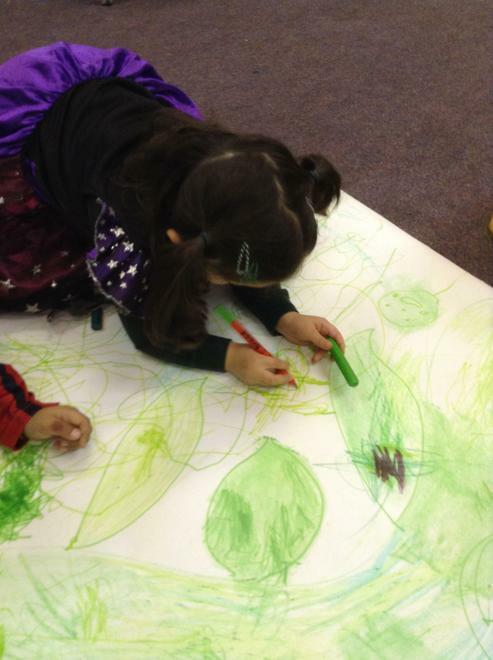 A successful workshop was held for parents and children. 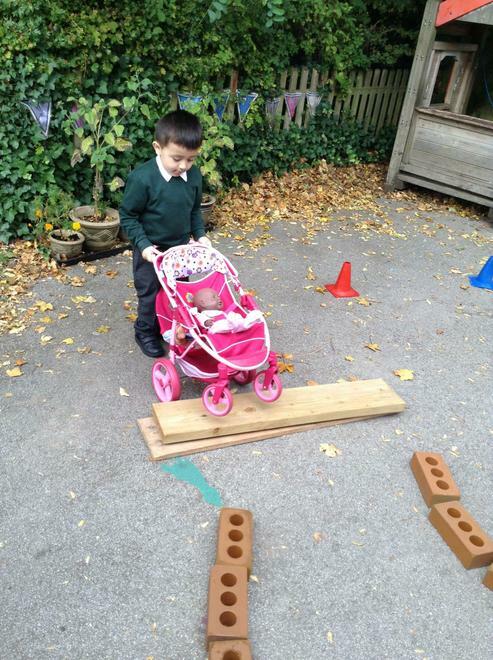 The challenge for the session was to make a transport model. 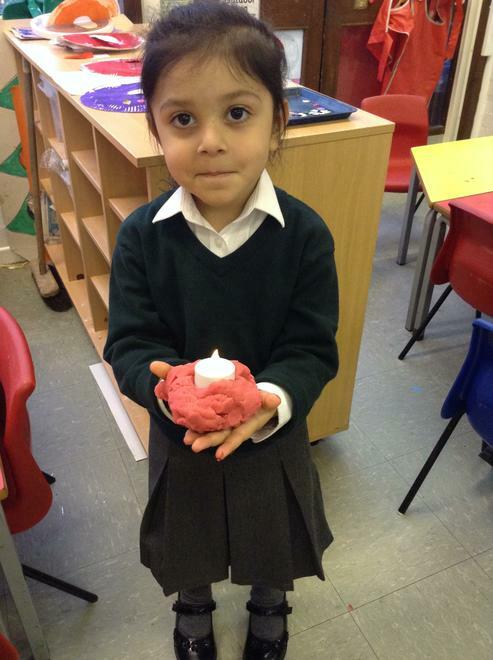 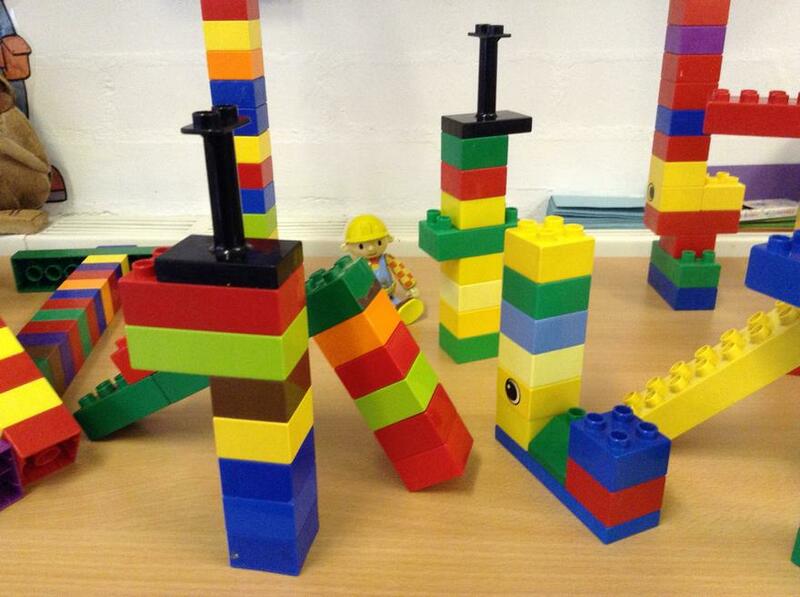 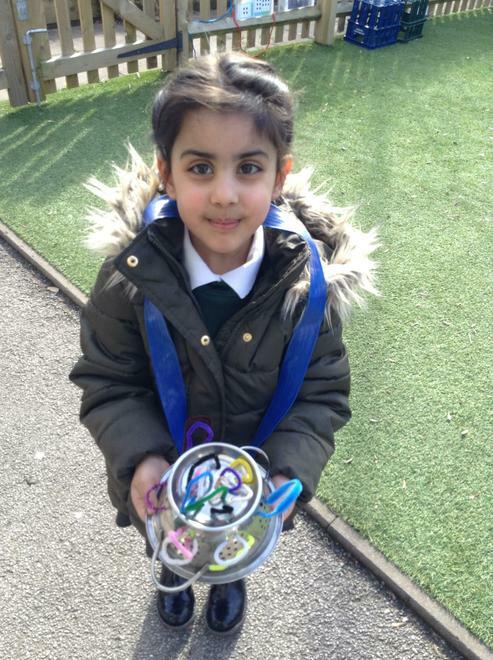 The children (and parents) were very creative and lots of imagination was needed to make some fantastic models. 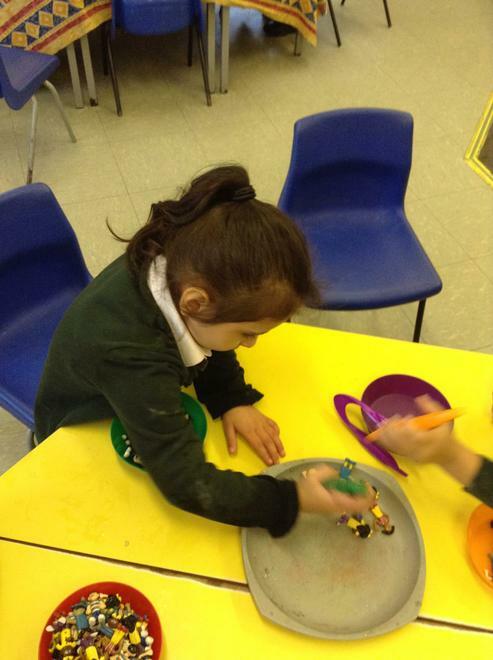 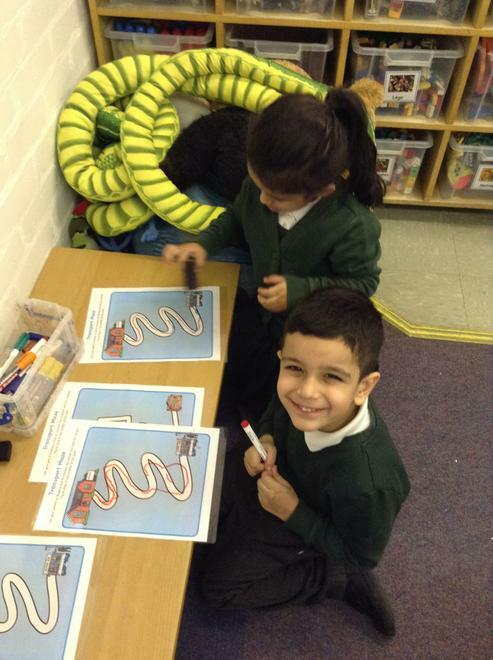 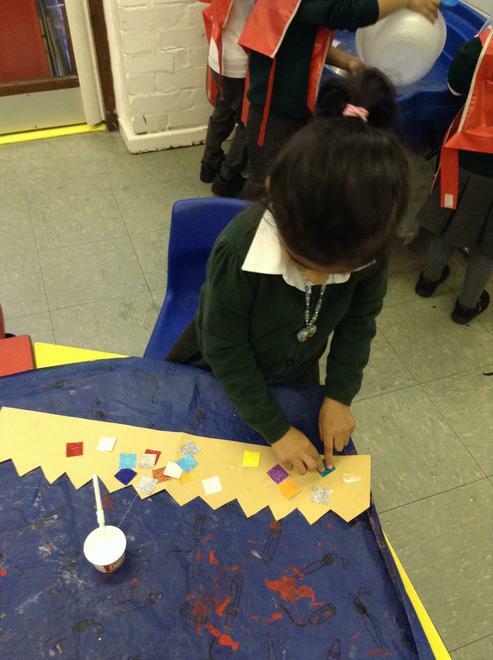 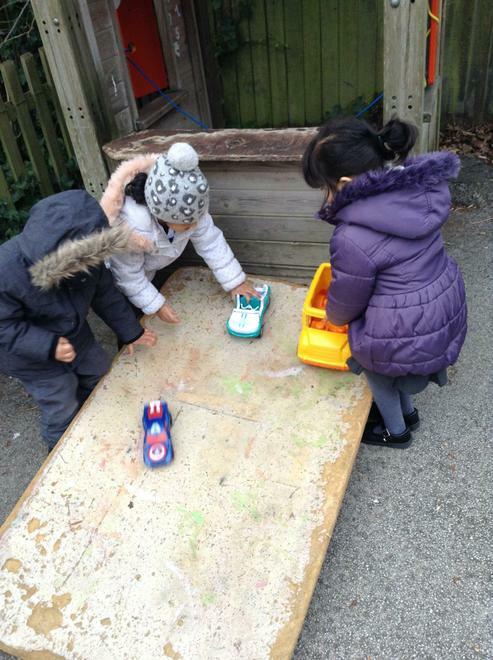 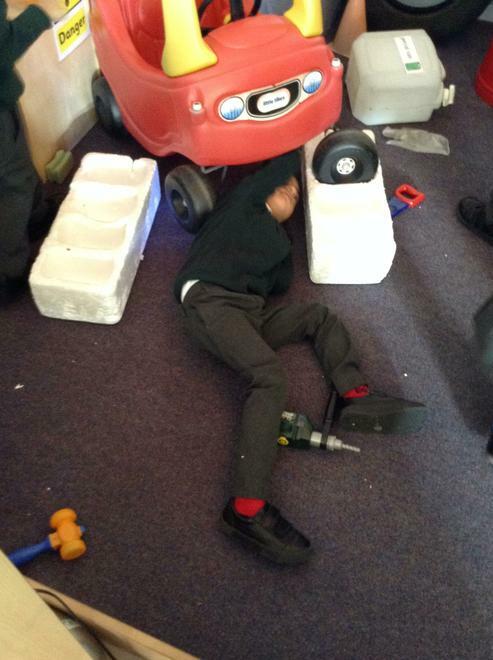 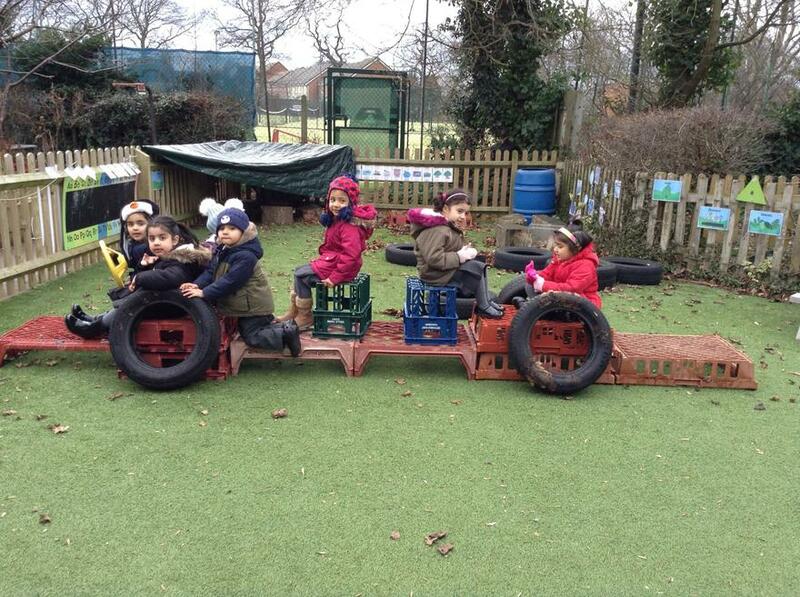 The children made cars, emergency vehicles, trains and even rockets. 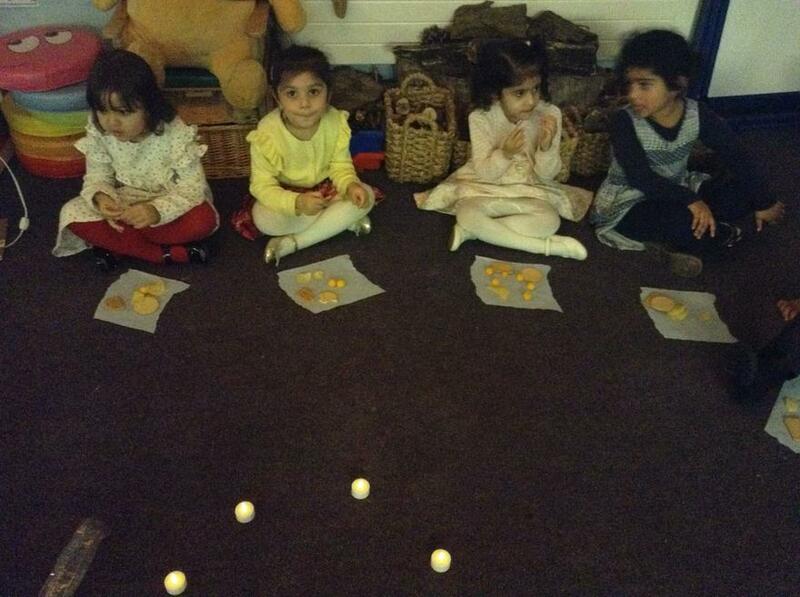 A big thank you goes out to all those who attended and the nursery staff hope that everyone had a lovely time! 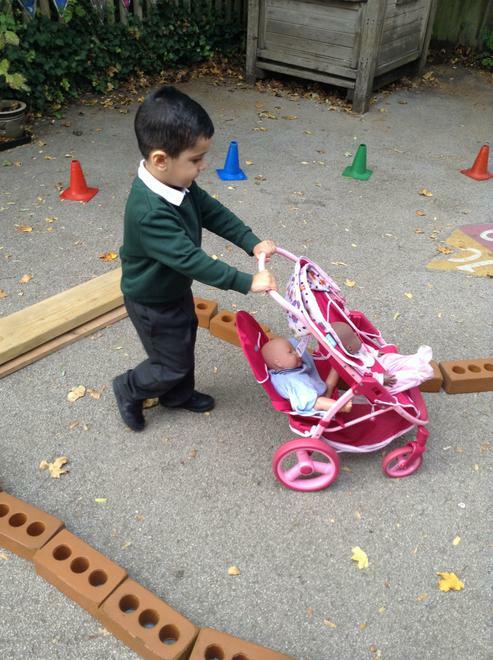 Quality time with mum and dad! 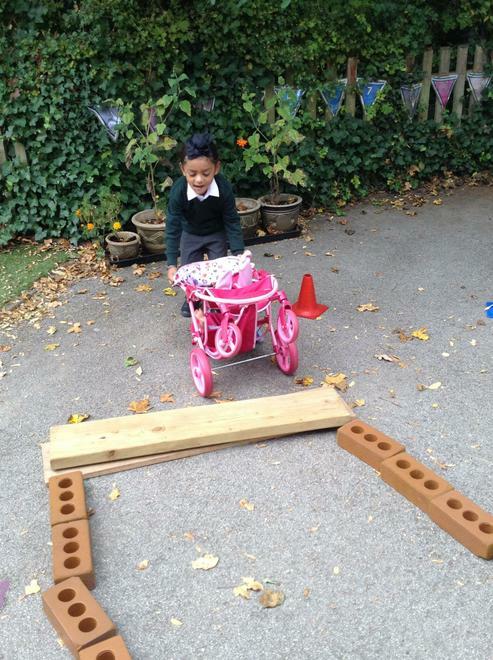 A fabulous replica of daddy's car!